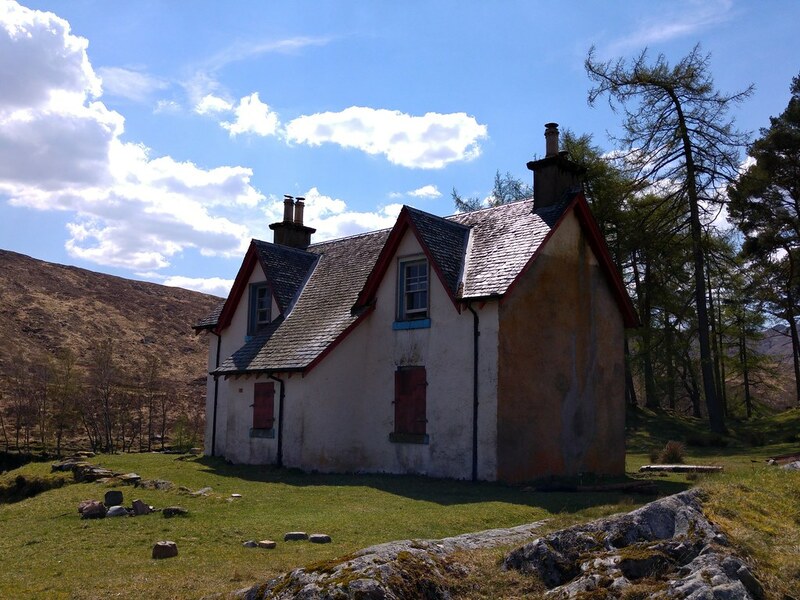 tl;dr: Wonderful 4 day walking trip from Glen Nevis to Corrour station. We had great weather and the trip was probably the best so far. 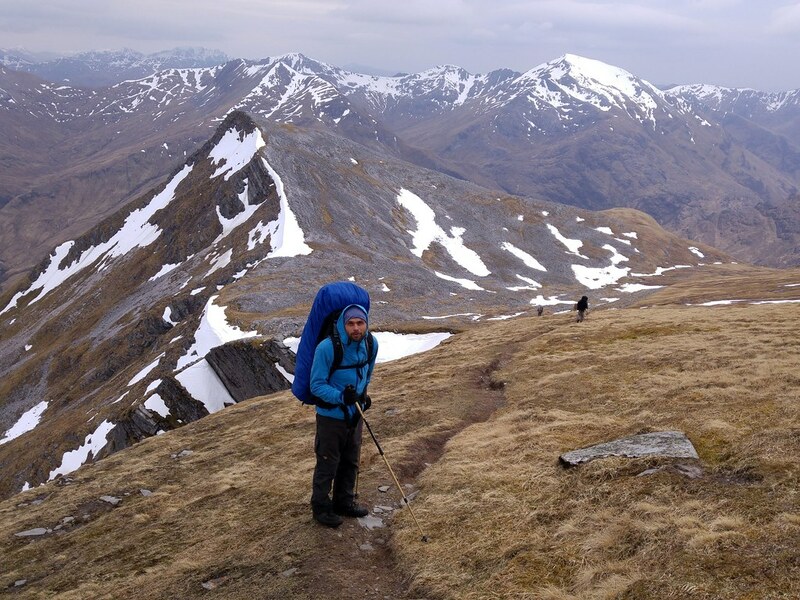 13 Munros and around 60km we achieved on this trip. I should start this TR the way I started the ones before … But you might have read the TR from last year, and the year before and so on. So I’ll cut straight to the point. Preparation time this year was compared to last year very short. Work kept us busy and so we quickly agreed at one meet over a couple of beers on the area (Mamores, Aonachs, Grey corries and exit at Corrour station) and decided to walk the Ring of Steall on day 1, the Aonachs on day 2 continue along the Grey Corries on day 3 and possibly scramble up the Munros left of Loch Treig on day 4. 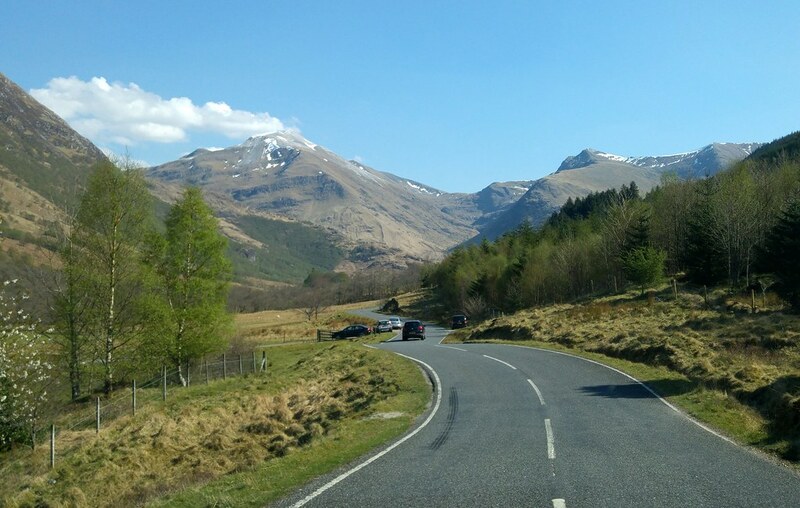 After having landed in Glasgow we collected our hire cars and headed straight for ASDA and Go Outdoors to get food and gas canisters needed for our 4 day trip from Fort William to Corrour Station. 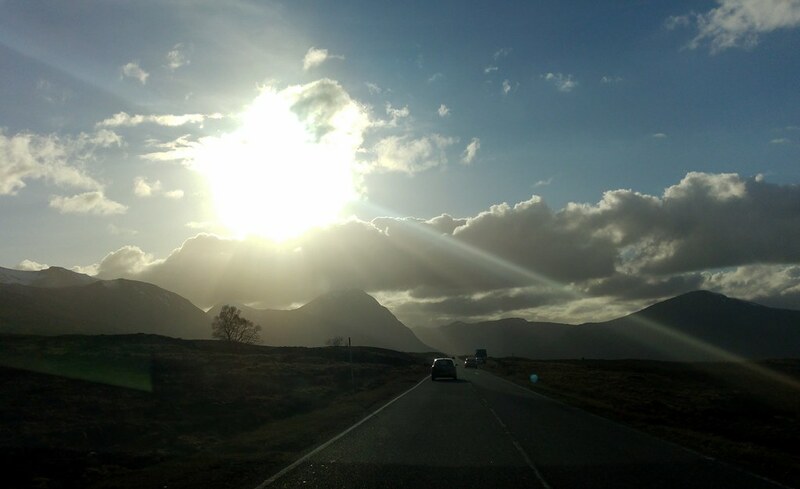 We then enjoyed a wonderful drive along Loch Lomond and through Glen Coe looking almost mystical in the sunlight. At the MaccyD in FW we had our last calorie-rich food before we drove into Glen Nevis and stopped and the car park at the very end of the road. By then it was already late and darkening. So we donned our walking clothes, stuffed food and gas canisters into our already heavy rucksacks and headed for the steal falls. 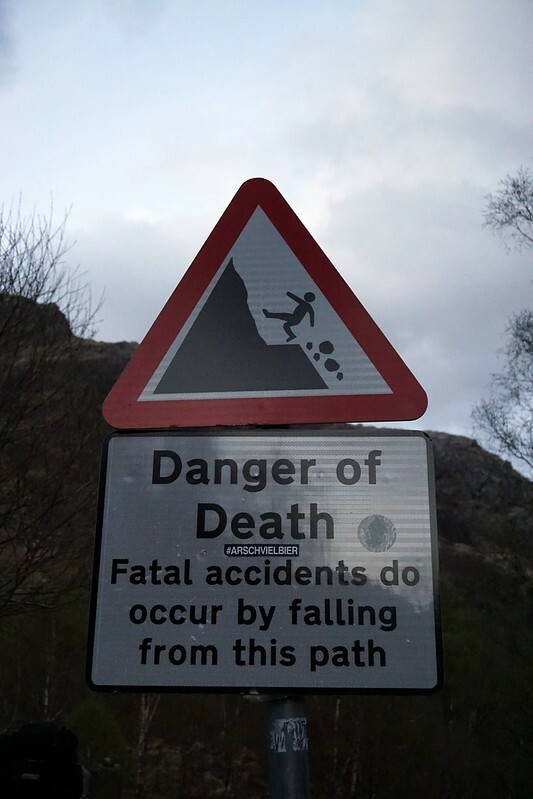 Have you ever noticed the sign “Danger of death” at the start of the path? There is a sticker on the sign with the hashtag #ARSCHVIELBIER. Its german and I won’t translate it here but it was funny (and a little embarrassing) to see something so rude (and german) on a sign. About 15 min into the walk I realised that my back was becoming wet for some reason. The fruity smell that came along was indicating a problem with something in my backpack. And indeed the SIGG bottle I had filled with sparkling lemonade was leaking and had a already lost a third of its contents and my rucksack was now wet with sticky, sweet liquid. Fortunately I had packed everything into plastic bags so nothing was damaged and the clothes weren't wet. Shortly before the light faded we reached the cable bridge. Crossing it was a lot of fun and then we tried to find a nice flat area to pitch our tents. 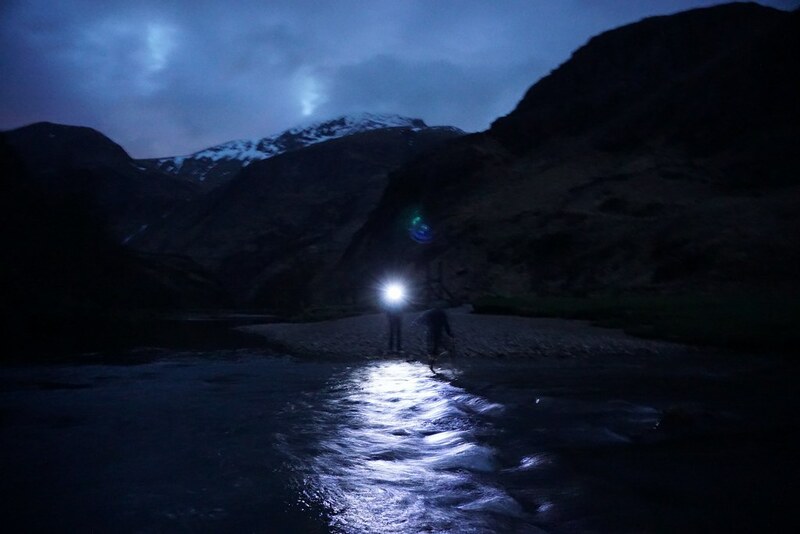 With almost no light left we used our head torches to find a place and settled at the burn coming from the falls. It was a wonderful morning when we emerged from the tents. 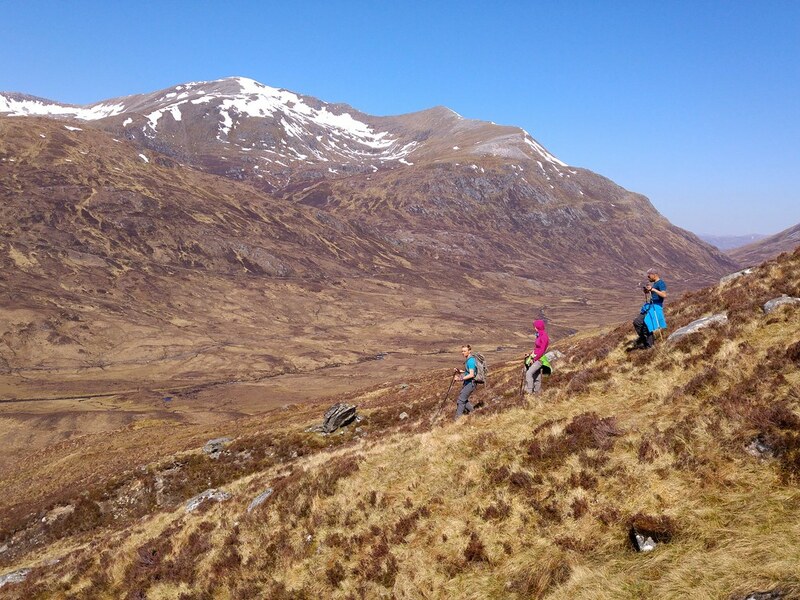 The sun was out, it was warm and so we decided to stick with our plan and attempt the Ring of Steall today. Note: During the tour I took a couple of 360° photos called photospheres. I tried to embed them into this TR but they do not show up. So all I can do is to post a link. If you click on that link a new window open up with Google Maps and display the photosphere. We left the tents behind and emptied the rucksacks and left only some food, water and rain gear in them. Then we started and had to tackle the first obstacle almost immediately. Crossing the burn without taking the shoes off. That took quite some and in the end we crossed at the foot of the falls. That's when I realised that Scotland and my cameras are in a love-hate relationship. In 2013 my camera got wet, result: flash no longer working. In 2014 I lost my camera on the flight back home. And now the lens of my Sony a5100 camera had got stuck for no apparent reason and was no longer moving. I tried to fix it by pushing and pulling the lens a bit but to no avail. It remained stuck and my camera just displayed “Lens error”. Great. What a blow. 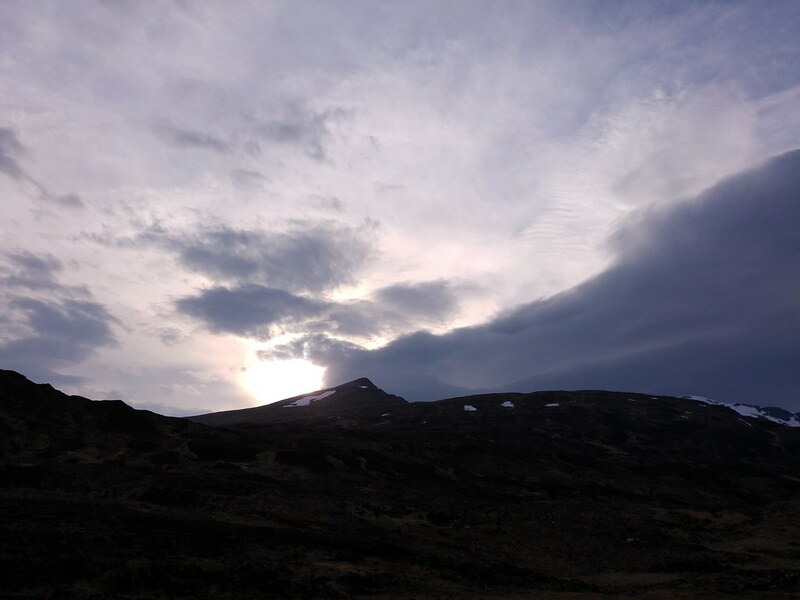 I had really looked forward to taking loads of pictures but now I had to rely on my phone camera (most of the pictures in this TR were taken with the phone and some of them later stitched/merged at the PC). I decided not to be too disappointed and enjoy the holiday anyway. 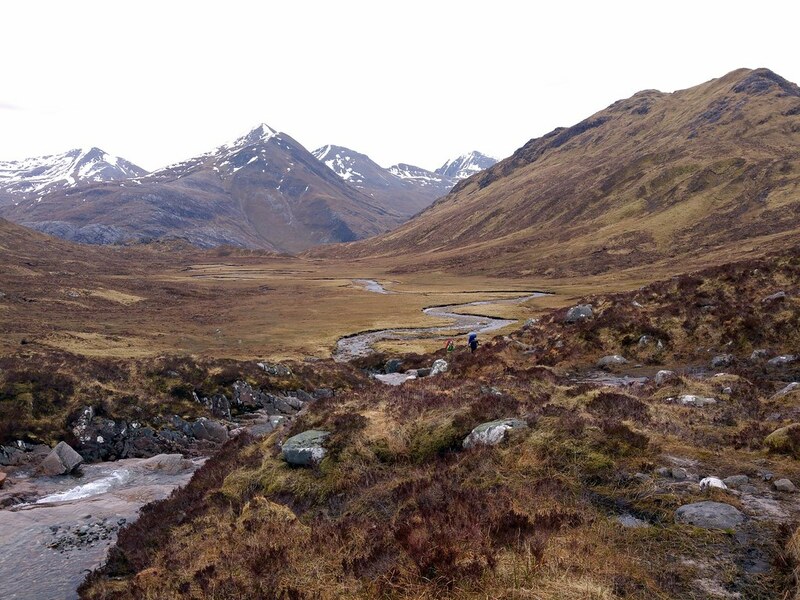 The long ascent up An Gearanach was exactly that … LONG. 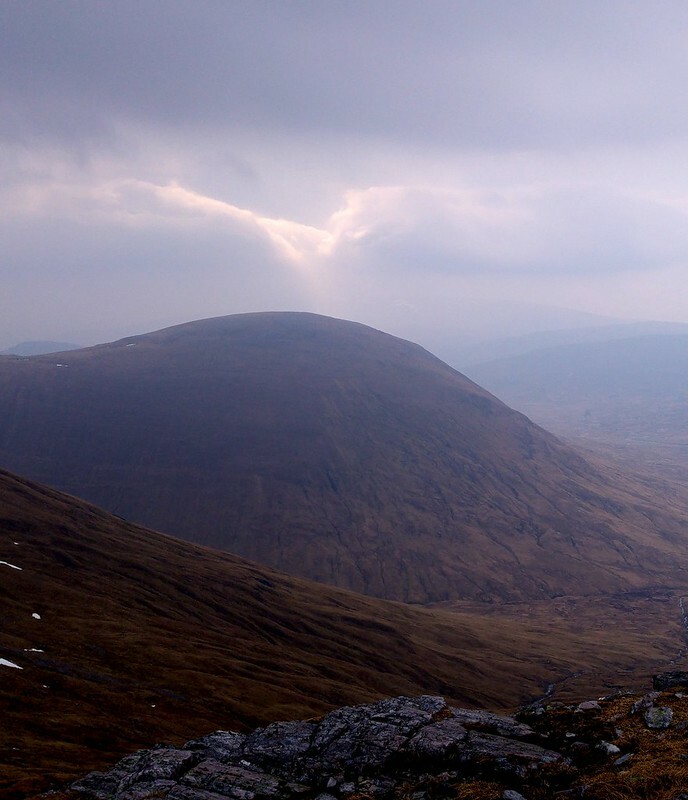 An Gearanach was the first hill of this year's tour and the view was just amazing. 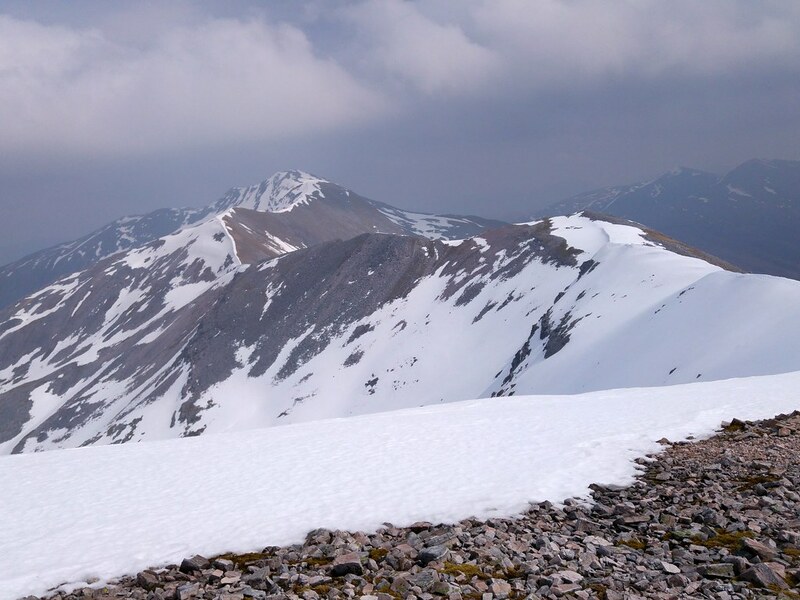 Opposite the glen was the mighty Ben Nevis, the Aonachs were clearly visible and the other Mamores were all around. And the best thing was sunshine. Compared to the last couple of years where we had rain, snow, wind and fog on the hills, this was just fantastic. 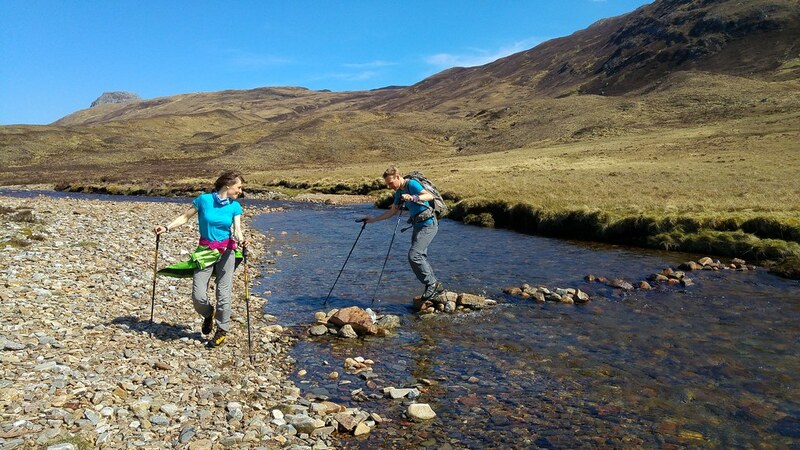 In order to continue along the Ring of Steall we headed for Stob Coire a Chairn and once in awhile we saw two girls in front of us that had passed us by shortly after the falls. Now it was decision time. 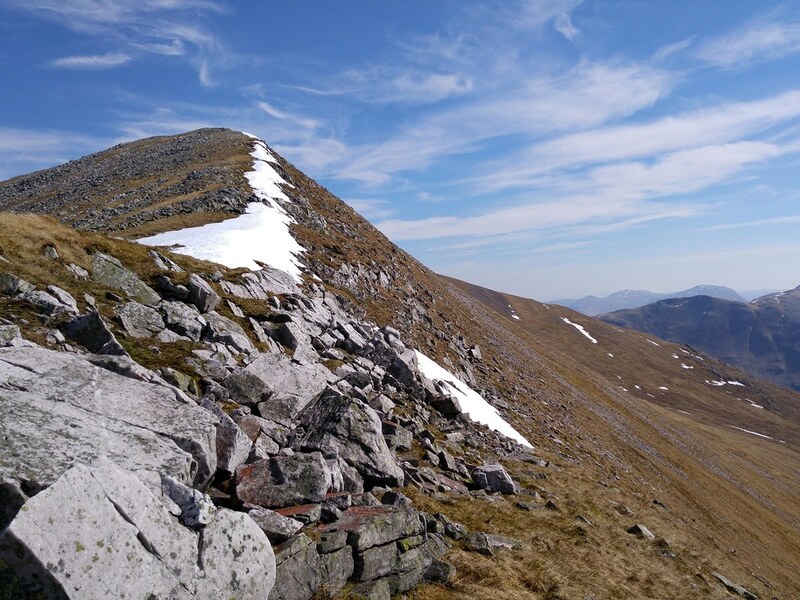 When we started we had discussed whether to leave the ring and follow the ridge to the east along Na Gruagaichean and the eastern Munros or stick to the ring. 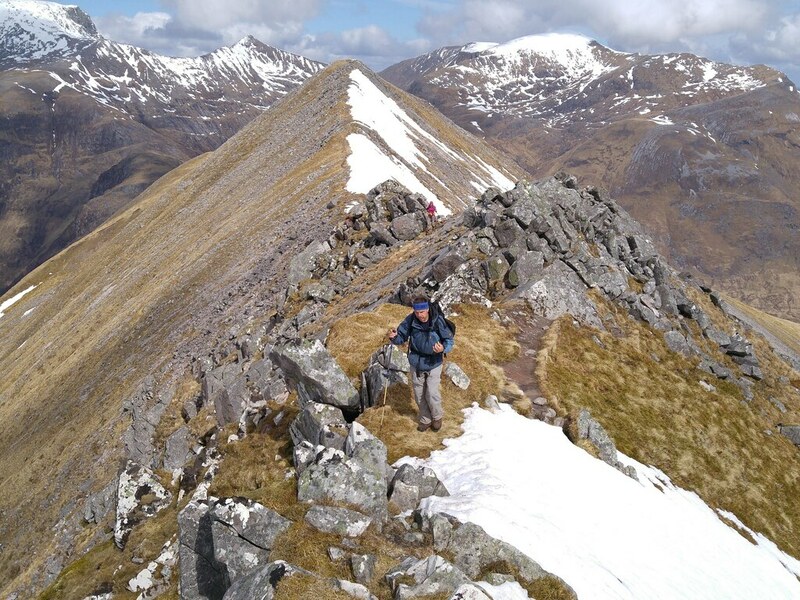 The eastern round back to the falls of steall looked a bit longer so we went for Am Bodach and the western Munros. 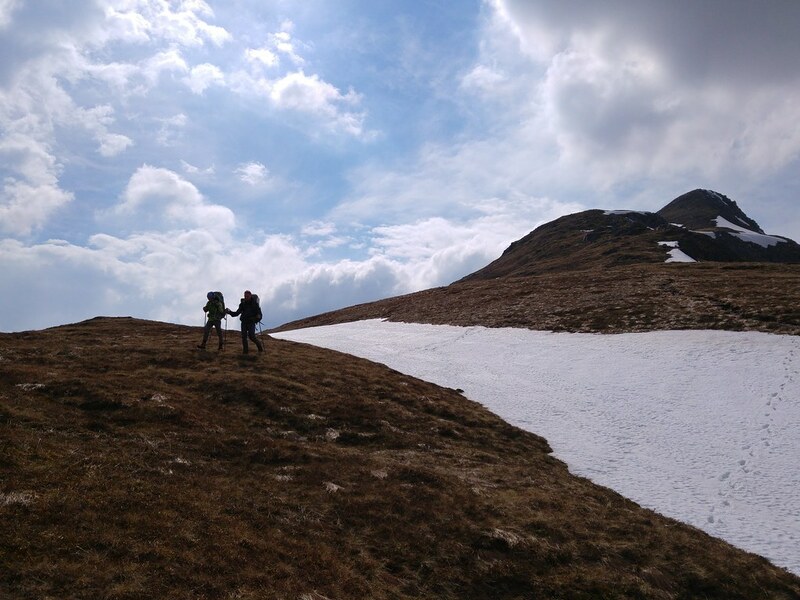 The walk was so far without any problems but when we came to the foot of Am Bodach I had serious concerns about whether we should go for a direct ascend or take a detour to the west in order to avoid the snow fields. Well, I was outvoted and so we followed the steps of the girls that had taken out their ice axes (and maybe also crampons). We had nothing like that with us because we expected a nice spring walk with no winter conditions. 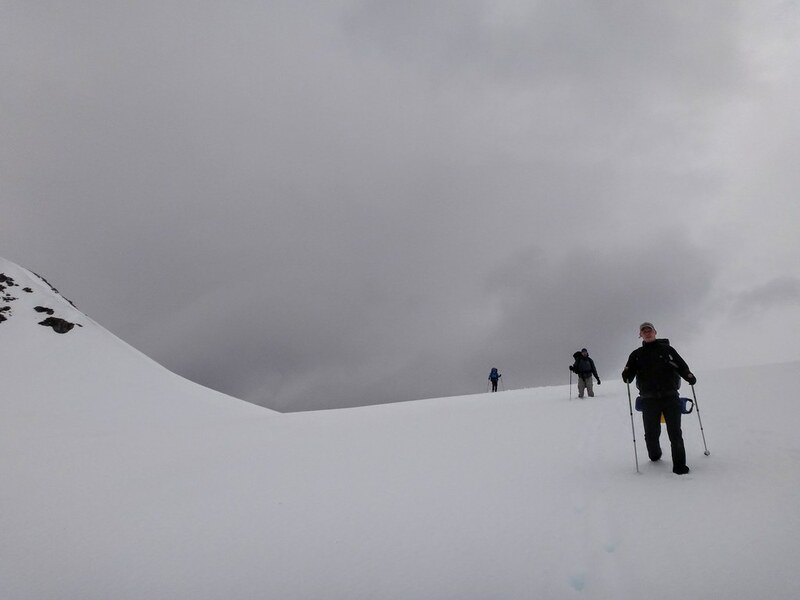 The snow was soft and nowhere icy so crossing the snowfield was no problem and when we had crossed the first one we were confident that we did indeed not require winter gear. A strenuous ascend later we reached the top of Am Bodach with wonderful views down Loch Leven and the WHW. The next top along the ring is Sgurr an Iubhair which was reached a bit later this time with great views down the Corrie a Mhail. At Sgurr an Iubhair we realised how much time was left and so instead of following the ring to Sgurr a Mhaim we went west to Stob Ban. 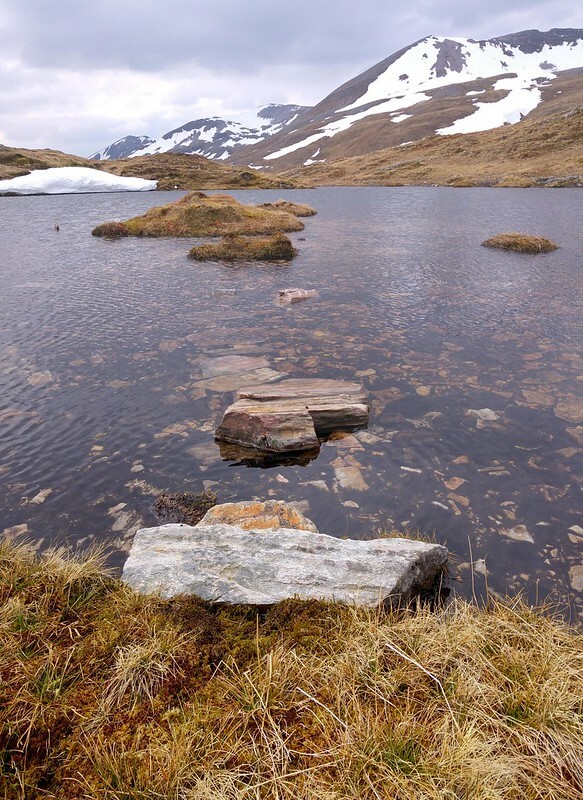 There is a steep drop at the western flank of that top that provides wonderful views down a little lochan where we wanted to take a break on the return trip from Stob Ban. 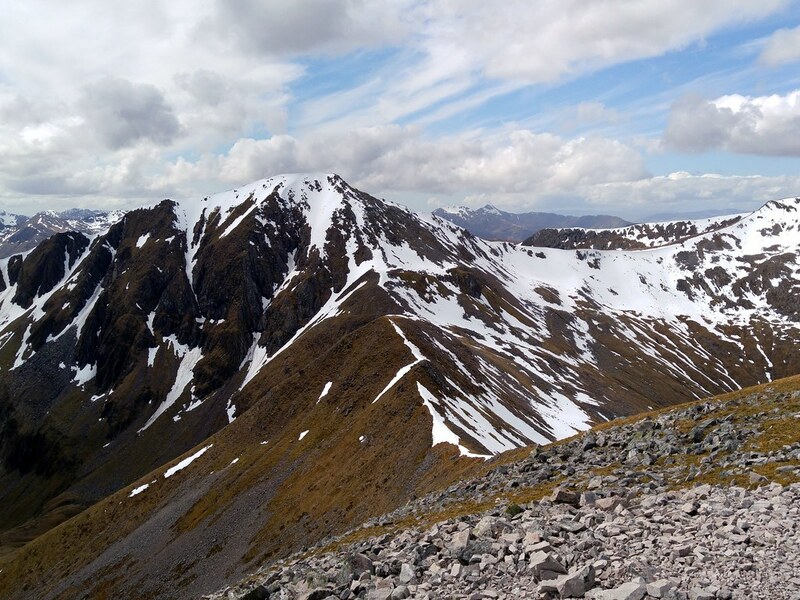 During the long ascent to the top of the Stob I realised that I felt exhausted. So far we all had been flying along the path but now the sun but also the constant up and down had taken its toll and I had to slow down a bit. A short break and two cereal bars later I reached the top where my mates were already having a snowball fight on the large snowfield near the cairn. And again views, views, views. 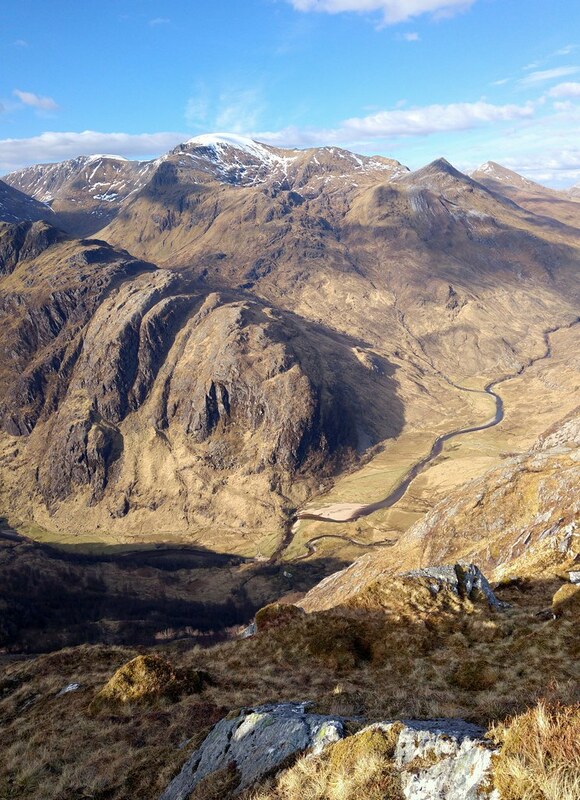 Deep down the WHW, to the north the Ben and Sgurr a Mhaim with the devils ridge. What a day so far! There were only two things that were less than ideal. The broken camera and my water bottles which I had emptied already, because it was so warm and sunny. 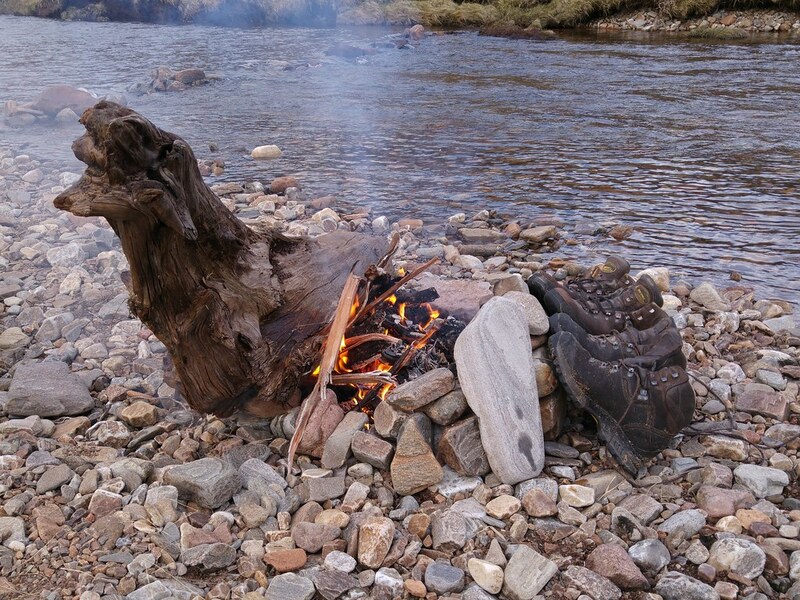 Back down from Stob Ban we stopped at Lochan Coire nam Miseach and refilled our bottles in one of the small burns. For my mate our cool drink was not enough. He had to take a bath. 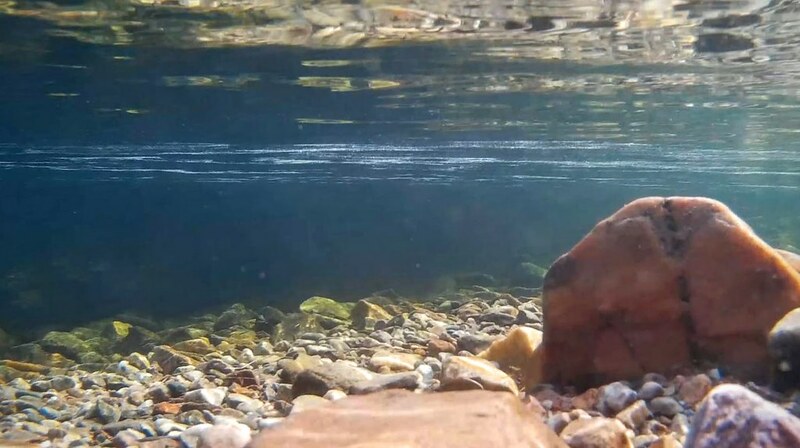 So he jumped in and enjoyed a few seconds in the crystal clear water. 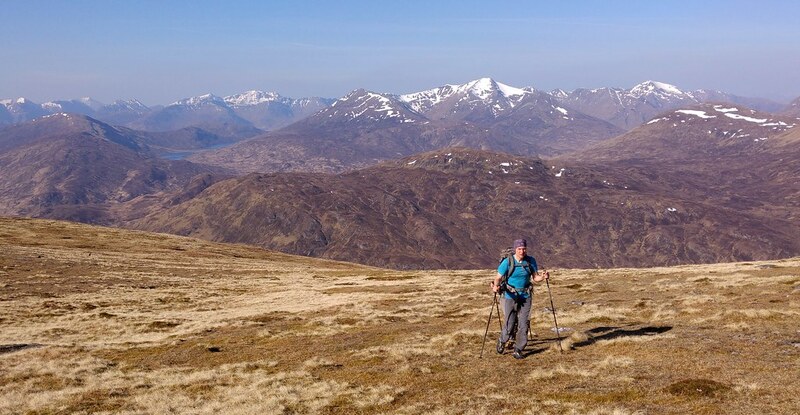 After a while we moved on and followed the rather short devils ridge to Sgurr a’Mhaim. The airy passage was much too short for our liking and soon we arrived at the last Munro of the day. Here we met another walker but he was not very talkative (very strange, maybe he was german ). 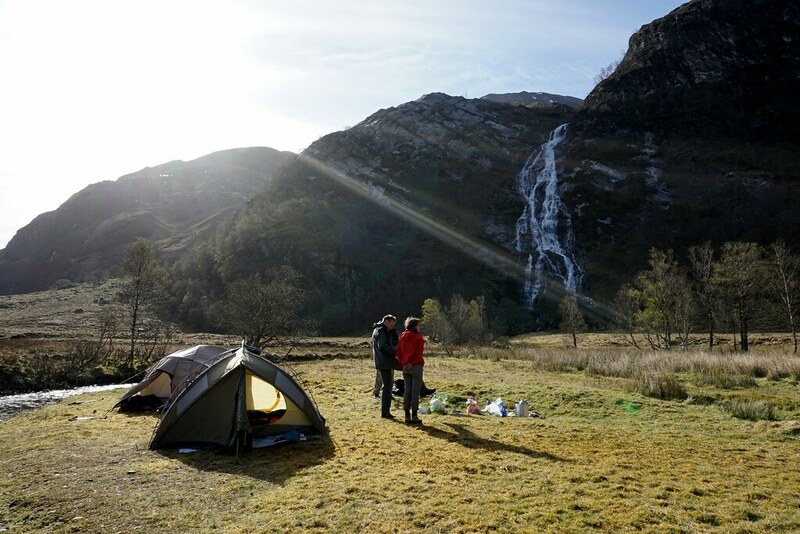 So again we enjoyed the views and discussed which way to take to get back to the Steall Falls where our tents were pitched. 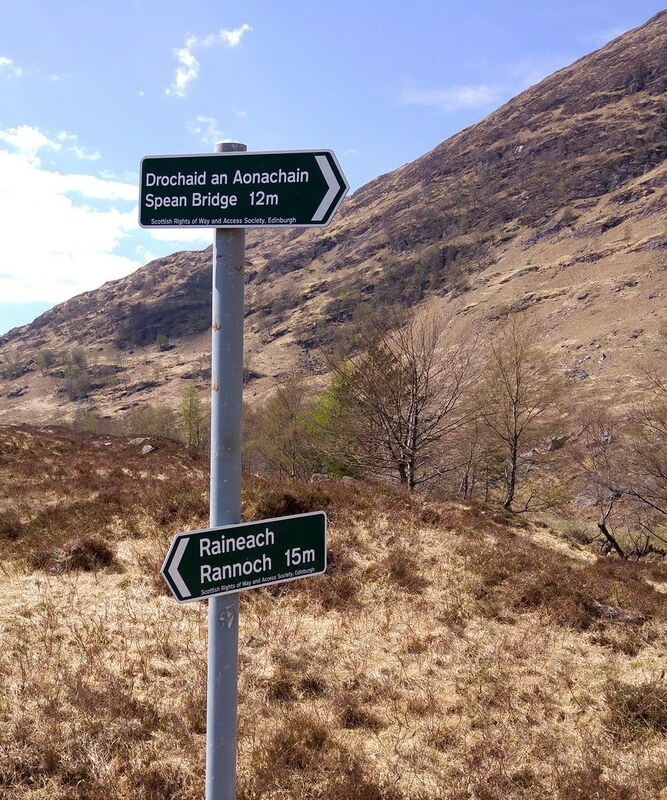 To follow the normal Ring of Steall route down into Glen Nevis to the NW seemed rather long and would have required a walk along the road for quite some time which we did not fancy. Therefore we decided to head almost straight for the falls. 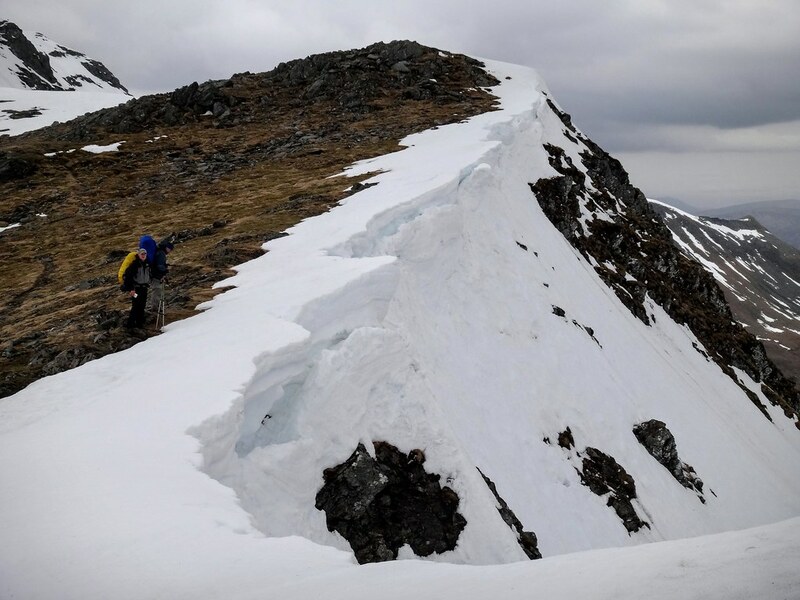 However, to go directly N into the corrie would have been too dangerous because of the snow cornice and so we followed the ridge to the NW down to 850m and crossed the huge snowfield on the north slope on Sgurr a Mhaim there. From there we followed a roughly NE course and ended up in the forest above the house near the cable bridge. While walking further up at 800 - 500 m was rather easy, the steepness of the terrain and the vegetation combined with wet ground made walking further down rather difficult. In the end we arrived safely back at the tents and jumped straight into the burn below the falls to get some much needed cooling. 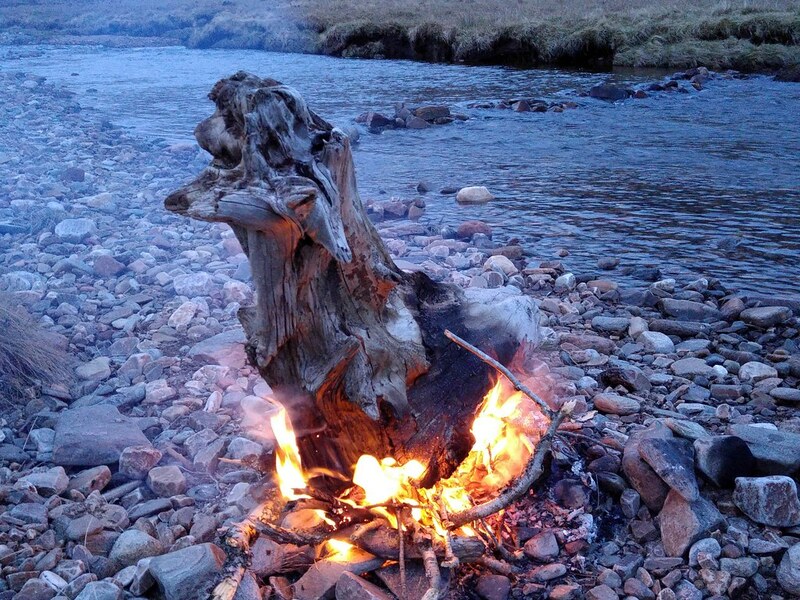 There a fantastic day ended with noodles and a small camp fire (with fuel from a dead fallen tree) and some whisky, which we unfortunately forgot in the tents and did not carry up to celebrate our Munros. The next morning was not as bright and sunny as the morning before. Temperatures had dropped and there was a dense blanket of clouds in the sky. But still not too bad and there was no rain. After a short breakfast we packed our gear together and headed for the cable bridge. While packing we could watch several persons attempting to cross but turning back which was funny to see for us. Probably not for them . 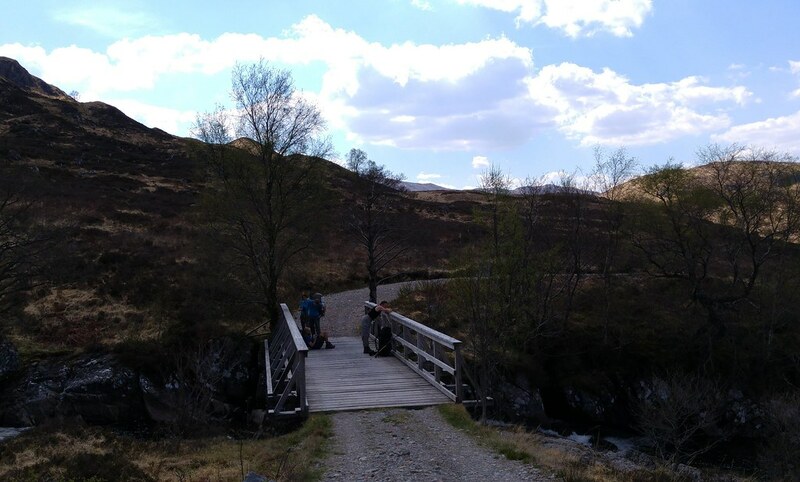 After having crossed the bridge we followed the Glen and left the path near the ruins of steall and headed north into the corrie between the Ben and the Aonachs. The first steep ascent into the high valley at 500m was done in no time but the ascend at the end of the valley up to the saddle was a real pain. Luckily we took a break halfway up and had a wee chat with 2 Englishman. While one of them was clearly a regular hiker the other one wasn't. When he asked us where we were from, we said Germany and he was really amazed. Not because of we were german but because we travelled all the way to the Highlands to spent a couple of days there when instead we could have travelled to London just as well. 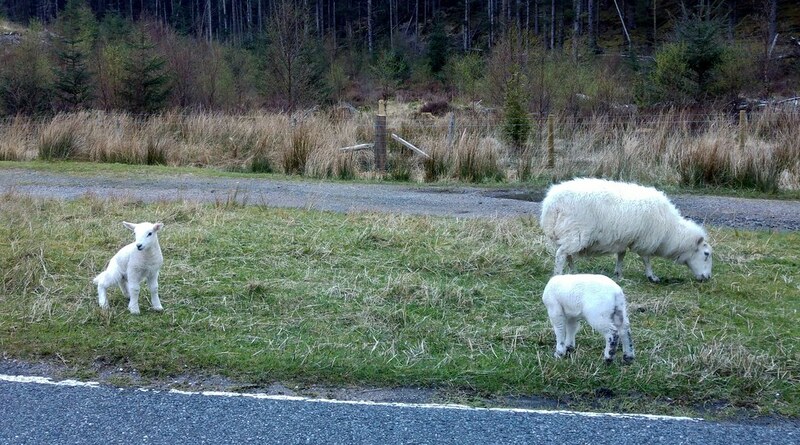 He was clearly not understanding the urge to get away from crowded towns into nature. We said farewell and after a while we continued up to the saddle and from there we turned right to the Aonachs. There should be a path from the saddle leading up to the plateau but we came only occasionally across it because most of it was covered in snow. The 250m in height were probably the hardest part of the whole tour. 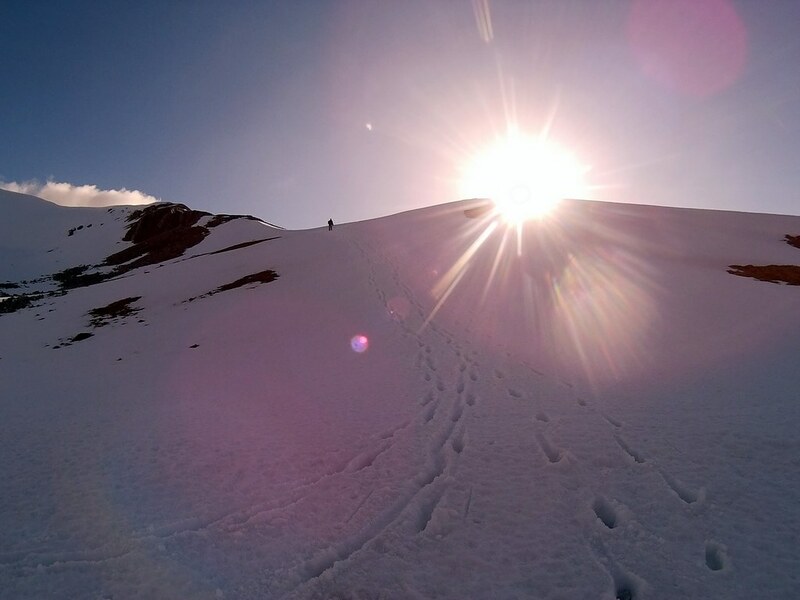 Terrain was steep and sometimes wet with snowfields and to make things worse, we had the heavy rucksacks with us. Exhausted we reached the plateau after an eternity and had a break. When we had gathered some strength we left the gear behind and walked north the cairn of Aonach Mor. Almost the whole plateau was covered with old but soft snow which resulted in wet feet after a while. 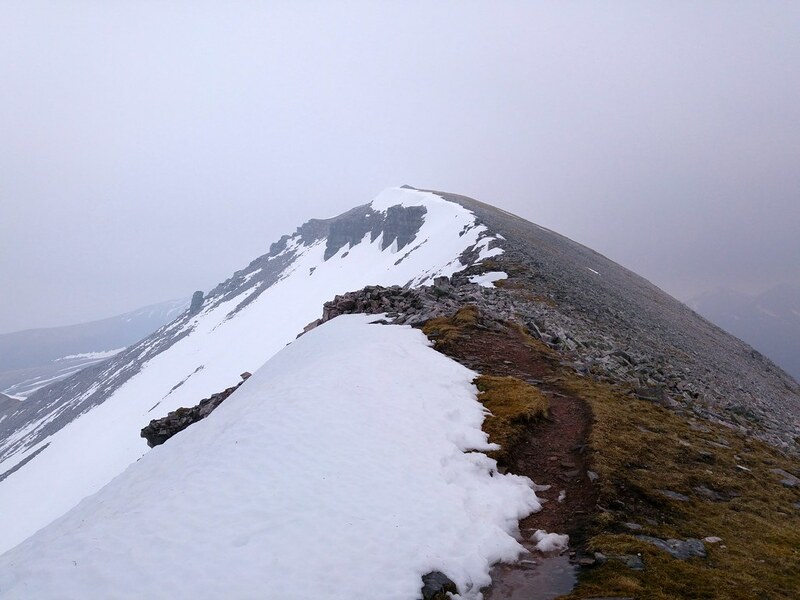 The views of the Ben and the CMD Arete were great but the dark sky along with the cold wind made the scenery darker and more sinister than yesterday. 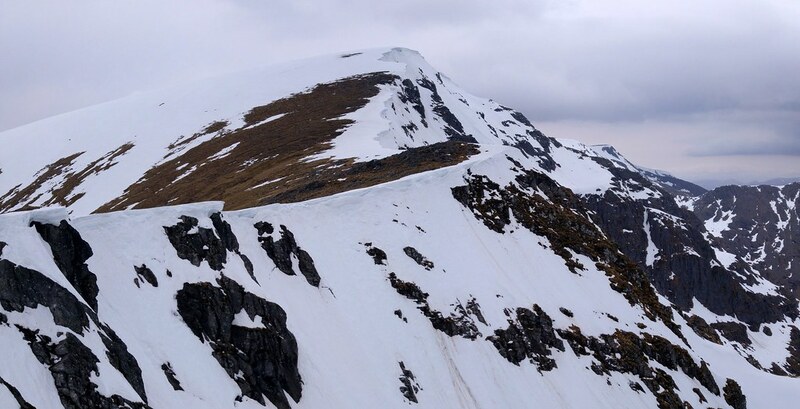 So we turned back to the rucksacks and moved on to Aonach Beag which looked completely frozen and lacked any spots that were neither snow nor rock. The ascent to the top wasn't that difficult but we had to watch out to stay away from the edges of the top because there were large cornices. Falling through these would have been rather unpleasant so we were careful. Once at the top (there was no cairn or it was covered in snow) we went in a SE direction. 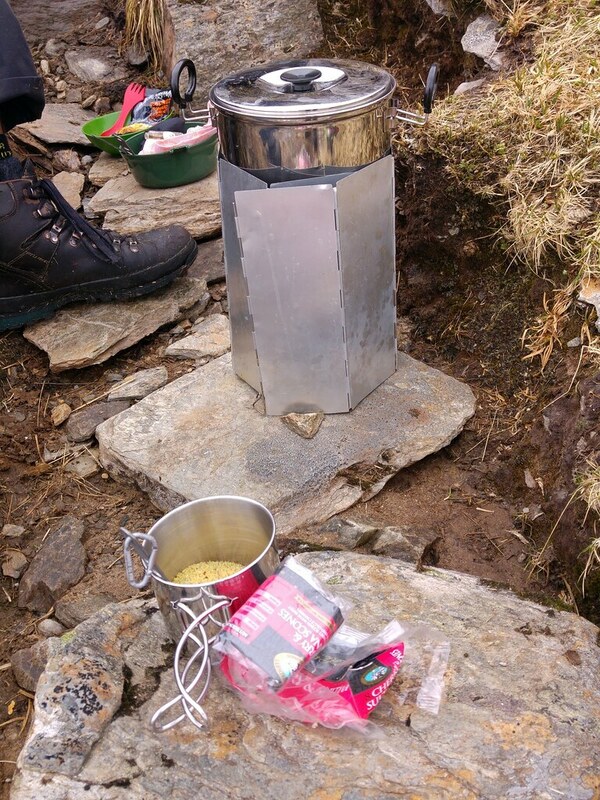 After we had left the snow behind we looked for a sheltered spot to boil some water for tea and soup and found a place directly on the path not too far away from Stob Coire Bealaich. 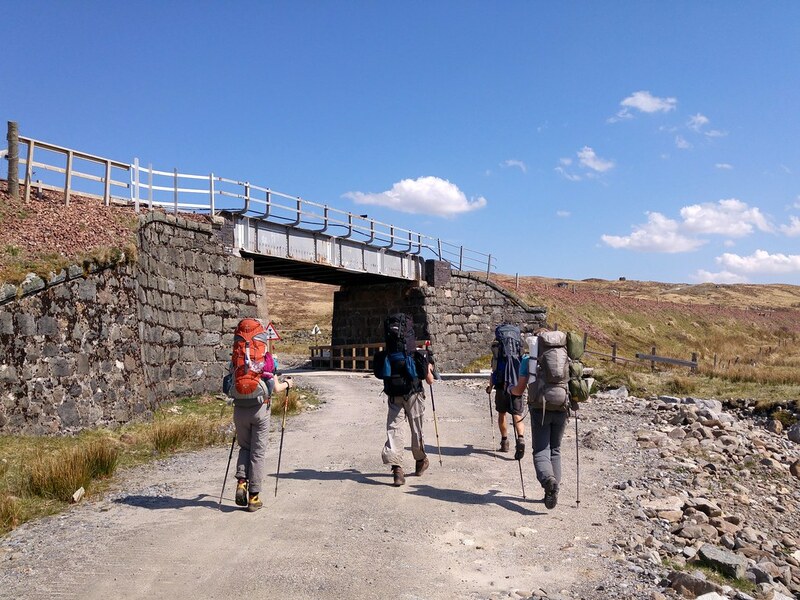 There we paused a while, had a well earned rest and discussed how far we would go today because it was already around 4pm and we had not even started to cross the Grey Corries as we had intended to do today. 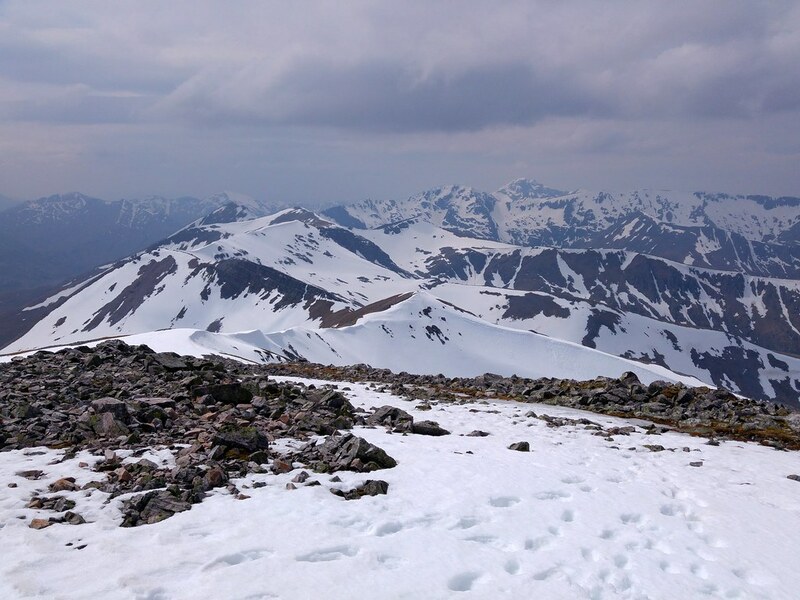 With hindsight it would have been almost impossible to walk from Glen Nevis over the Aonachs and the Grey Corries in one day with the heavy rucksacks and the snowfields. 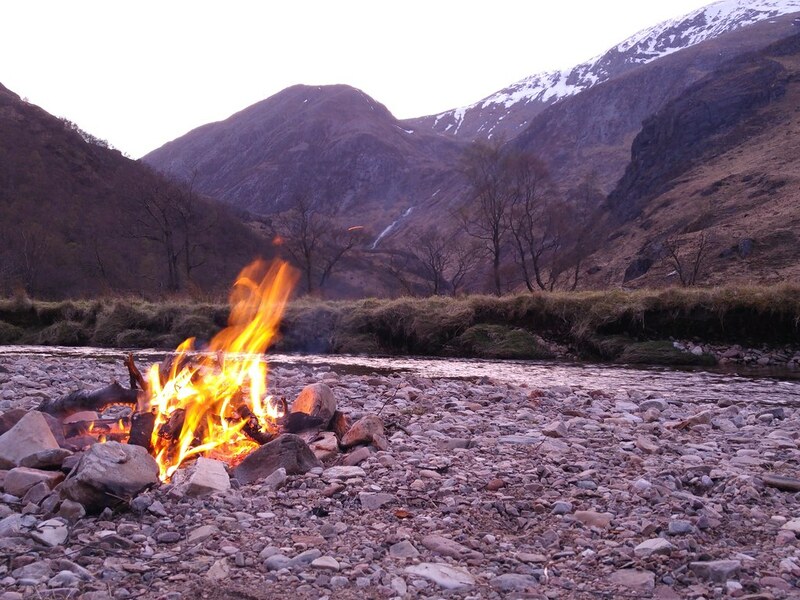 So we decided to find a suitable spot to camp at the Coire Easain 3 or 4 km away. But before we could get there we had to overcome an obstacle. 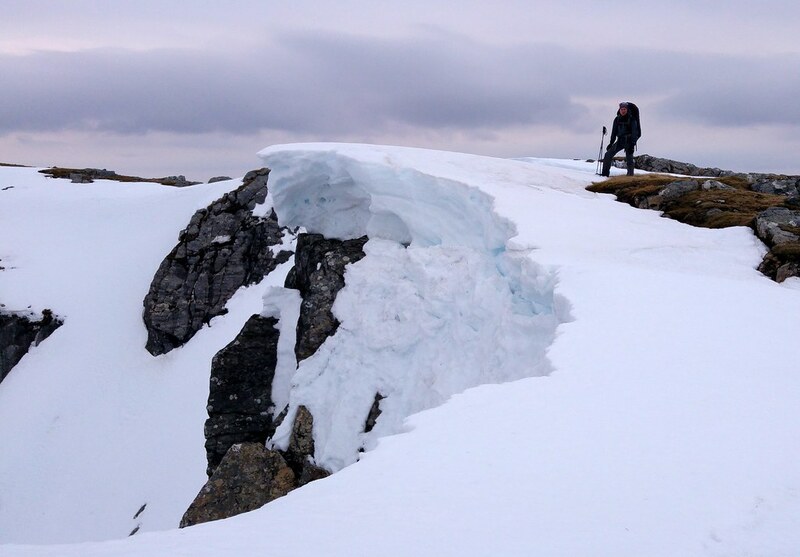 There is a steep drop from the plateau north of Sgurr a Bhuic to the bealach below. And to make things worse, there was snow. A lot of it. There was no snow on the plateau but a lot of it on the slope and the only way down was to cross the snow where it was not too wide or steep. The scramble down over rock and grass was tricky and required caution. 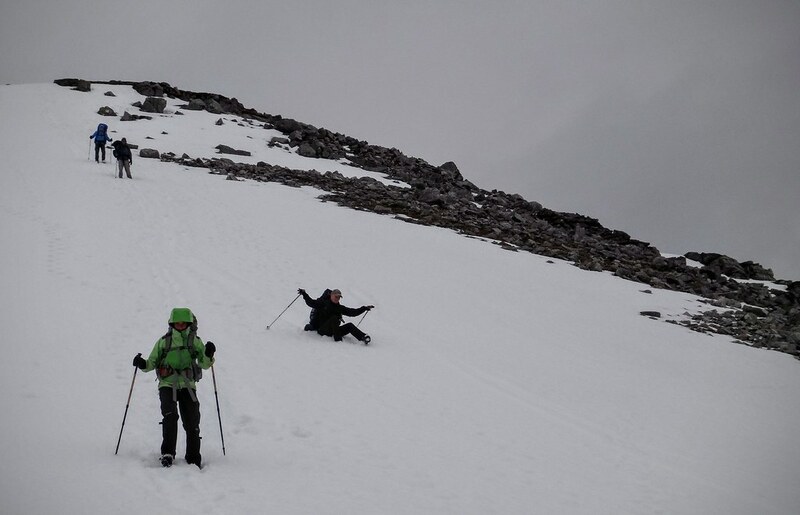 One of us slipped but wasnt hurt and everyone arrived safely at the bealach. Down at the lowest point at 731m we looked at the ridge that laid before us. It was not too steep and looked rather nice and so we started with the ascent of the first top Sgurr Coinnich Beag. 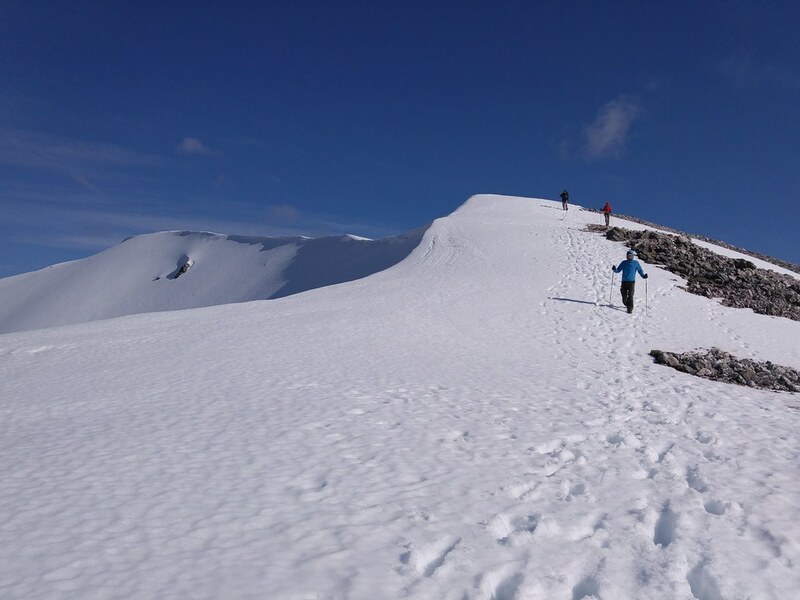 The second top however is 130m higher and there we encountered large snow fields especially on the path and the northern slopes so that we had so walk through snow again. 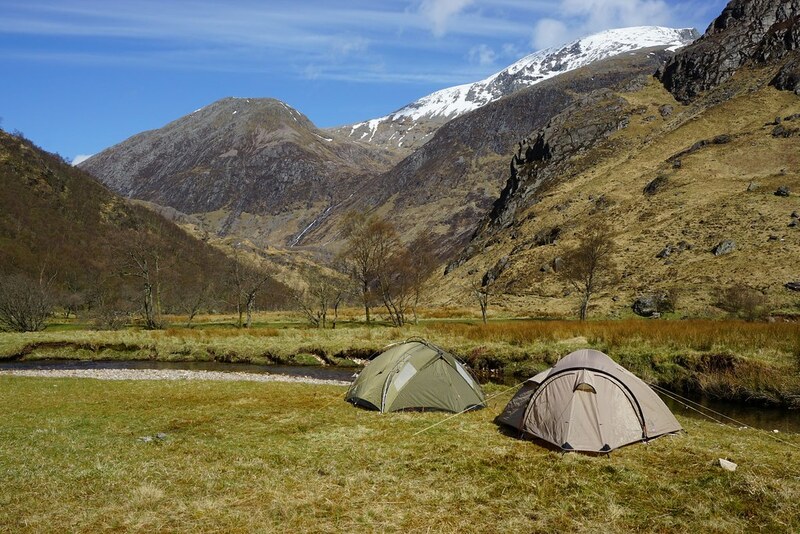 After the last Munro for today we decided to find a place to pitch the tents for the night. 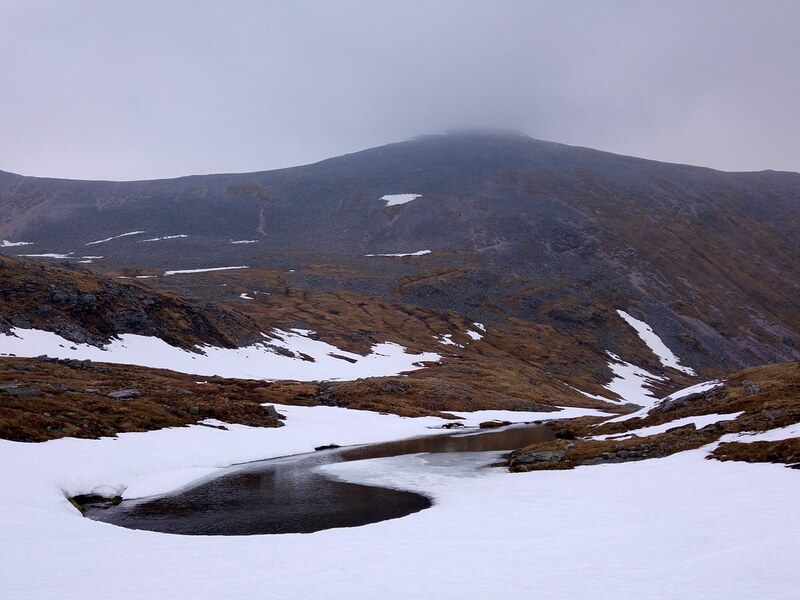 But to our surprise due to the height of the Bealach Coire Eassain the small lochans there were partly covered in snow and the sheltered areas close to the slopes were also covered with snow. Therefore we pitched our tents at a somewhat exposed place and prepared for a cold and windy night. The dinner (rice with soup) was prepared “indoors” because outside it was too windy for our gas stoves. The night was indeed windy but not really bad. The night was just a bit cold but not freezing cold. 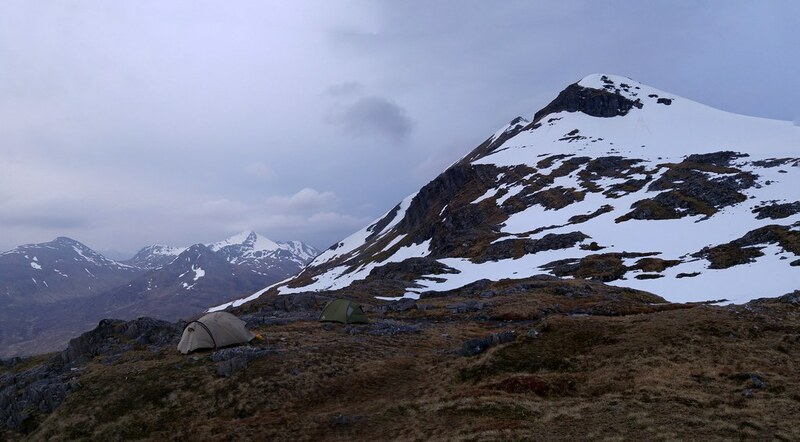 A high camp at 800m near the ridge is indeed considerably colder than a camp in the valley at 200m. At 8 we had a look out of the tent and the weather was quite mixed. It wasn't raining but it the sky was overcast and it was with 4°C quite cold. What a difference a few grades make. We hurried with breakfast and everyone was glad to get a nice, hot cup of coffee to warm up. We then packed everything together and went back to the ridge. We tried to avoid snowfields like the plague not so much to avoid any danger but to keep our feet dry. For some reason walking through snow is a bit like walking in water and our boots that had dried over night got wet really quickly. Back at the ridge we followed the almost non existent path over the two Stob Coires and from there over to Caisteal. By then the weather had improved and the views got better and even the sun came out now and then. The ridge walk was amazing. For some reason I like ridge walks the most. Climbing up to the ridge isn't bad either but in most cases just exhausting. Coming down from a mountain is nice as well but somehow I always have the feeling the the best part of the walk is over. So walking along the ridge is the best part. 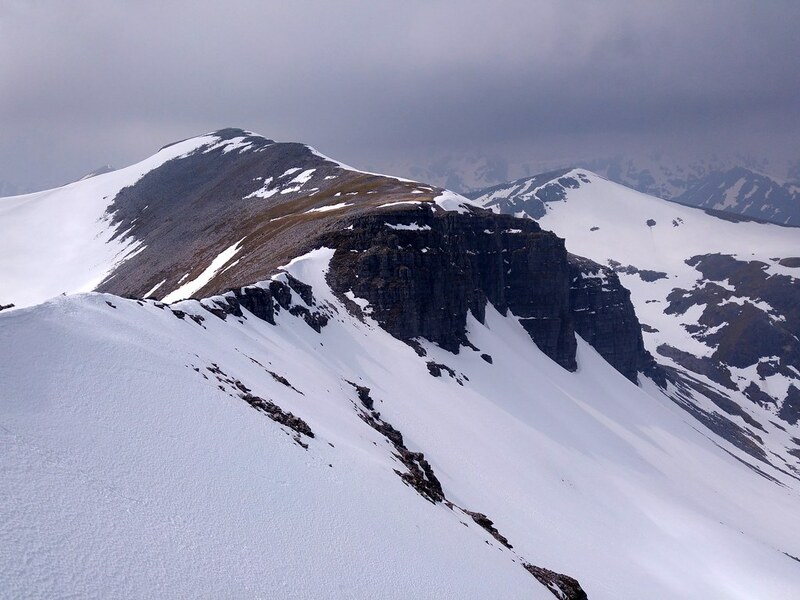 And the grey corries ridge is indeed a fine ridge to walk along. By the time we reached Stob Choire Claurigh we were a bit sad that we had to leave the ridge. But Stob Ban was waiting for us. 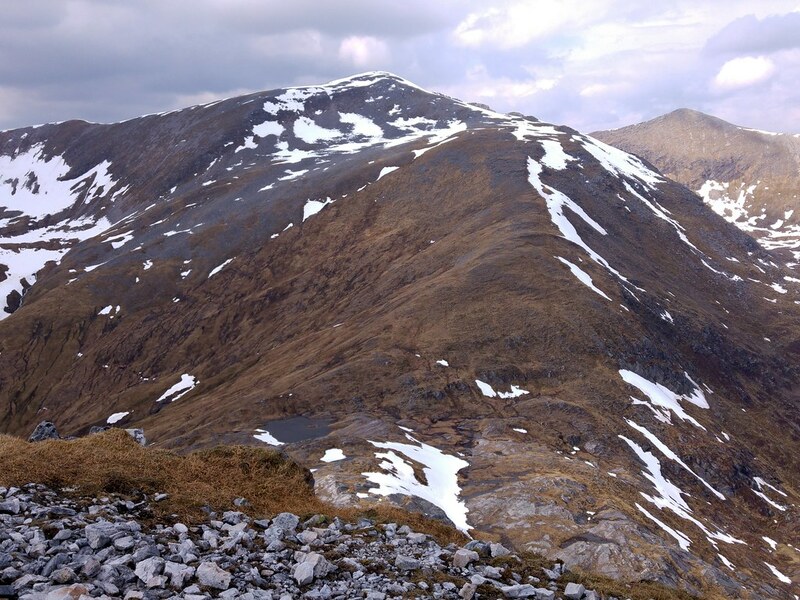 From Claurigh it looked almost small like a minor top but Stob Ban is a full Munro. 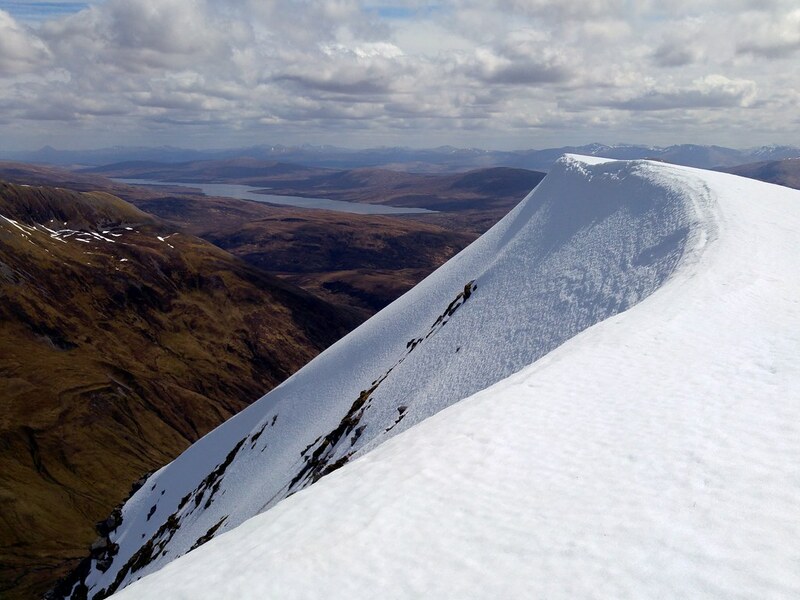 What followed was a lengthy discussion with our Scotland newbie about criteria for Munros such as elevation and prominence. By now it was around 2 pm and we needed a break. 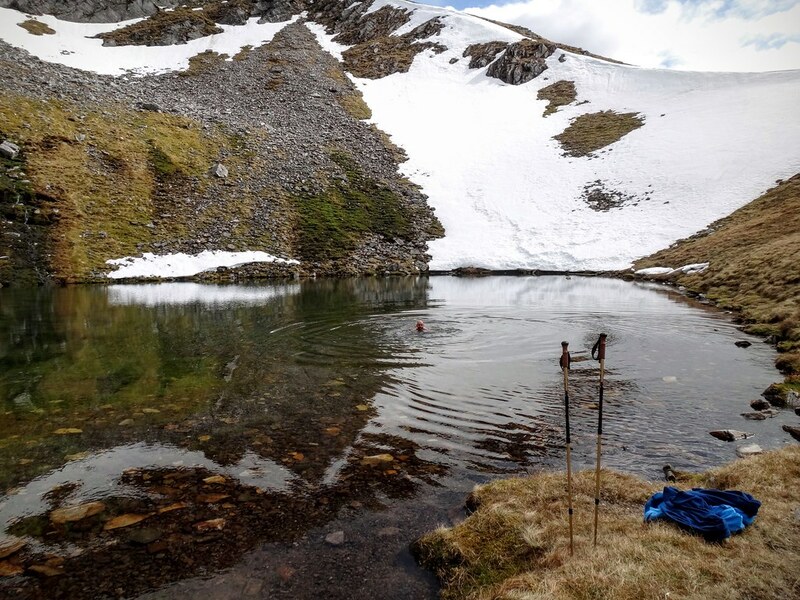 We still had several packs of soup left and the little lochan north of Stob Ban provided a great spot for a break. Although the water was icy and on side the was a huge patch of snow in the water, there were frogs and fresh frogspawn everywhere. Its always amazing to see new life after a long winter in such a remote and sometimes hostile environment. 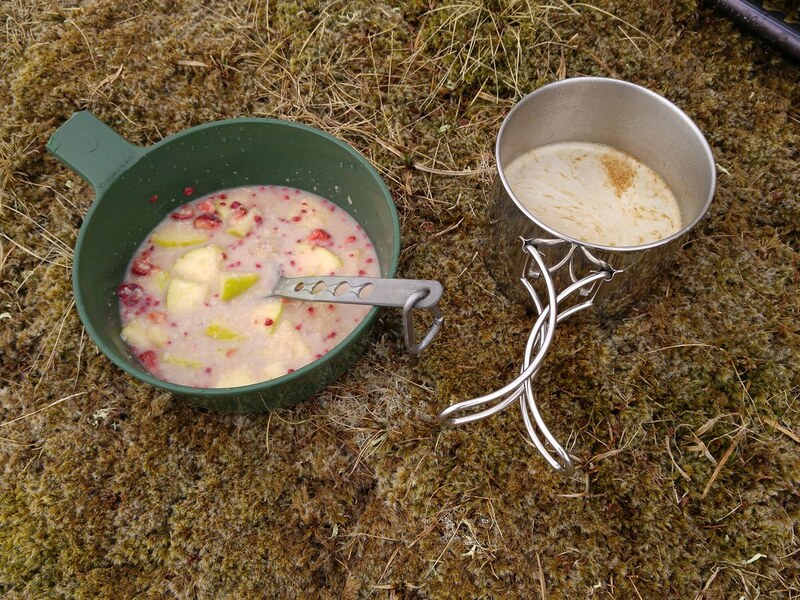 Tomato and Mulligatawny soup along with coffee and squished bread were a nice change from the cereal bars that we had on the ridge. 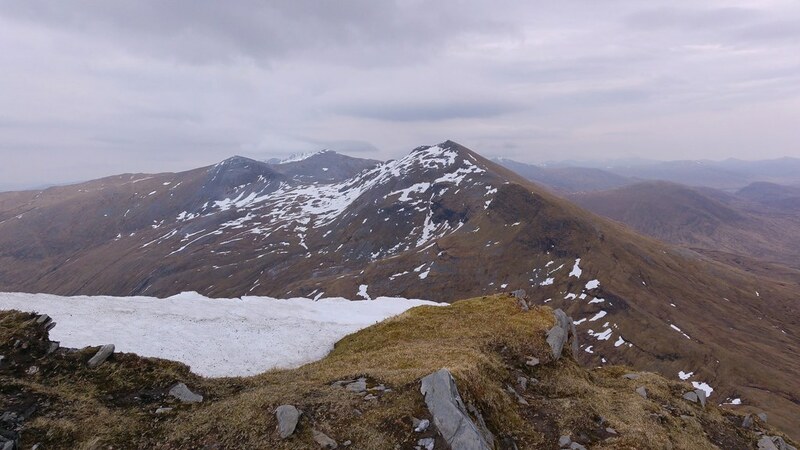 We then discussed whether we should leave the rucksacks at the foot of Stob Ban and scramble up without them or take them along in order to leave Stob Ban on the other side without the need to collect the rucksacks. The decision was made for the second option and so we scrambled up the rather short but steep path over scree to the top. Especially in the lower section the path is on loose scree and was not very pleasant. Up at the top the sun came finally out and the views back to the grey corries were really great. What now? Where to? That was the question that arose now. 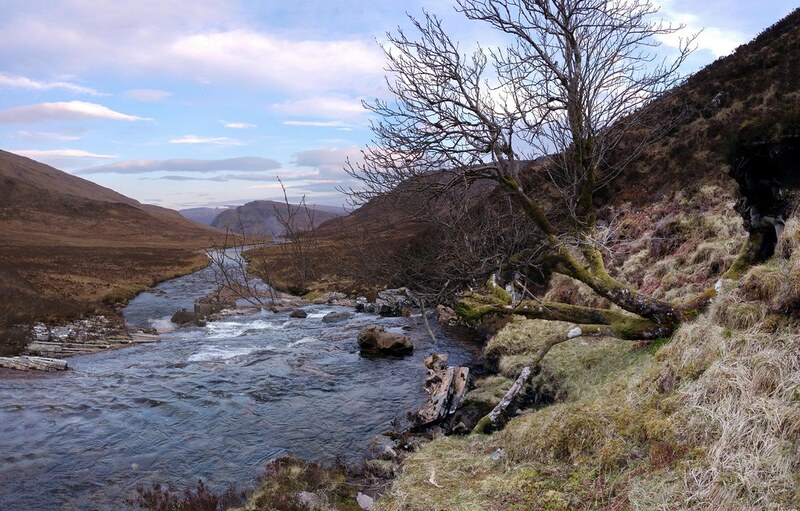 We decided to head west to the Lairig Leacach and find a nice spot for a camp along the river. 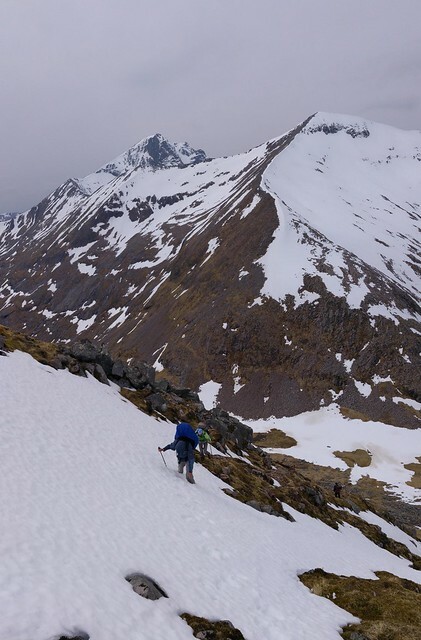 The descent from Stob Ban was straightforward and walking was easy at first. Once we had reached the heather on the lower slopes walking was a bit more frustrating because we slipped from time to time and landed on our backs which were soon quite wet. But in the end it took us about an hour to get to the river. There we found a nice flat spot directly near the river and pitched our tents. Then we tipped our feet into the water and decided to take a bath straight away. Of course the water was cold. Not icy but very cold. And very refreshing. Just what we needed after two days. 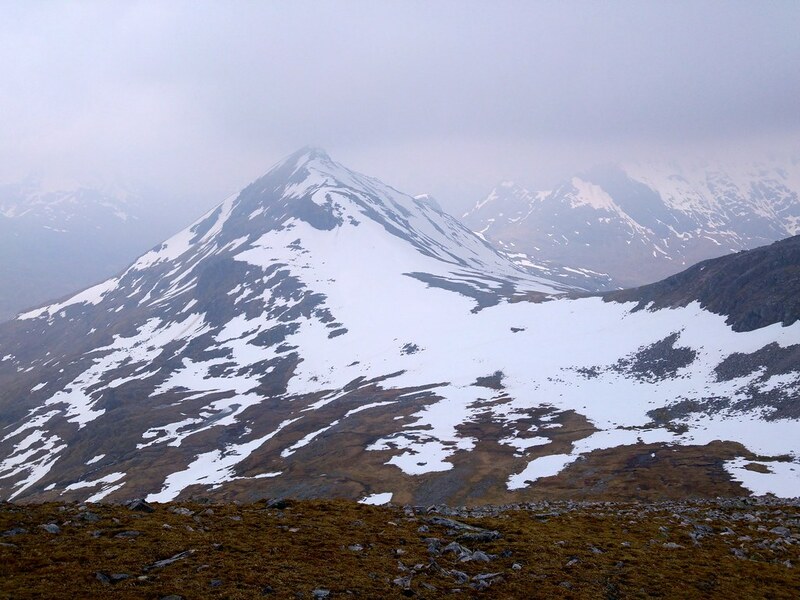 After we had finished bathing we wondered whether we should go for a nice evening stroll and attempt the two Munros Stob Coire Easain and Stob a Choire Mheadhoin. 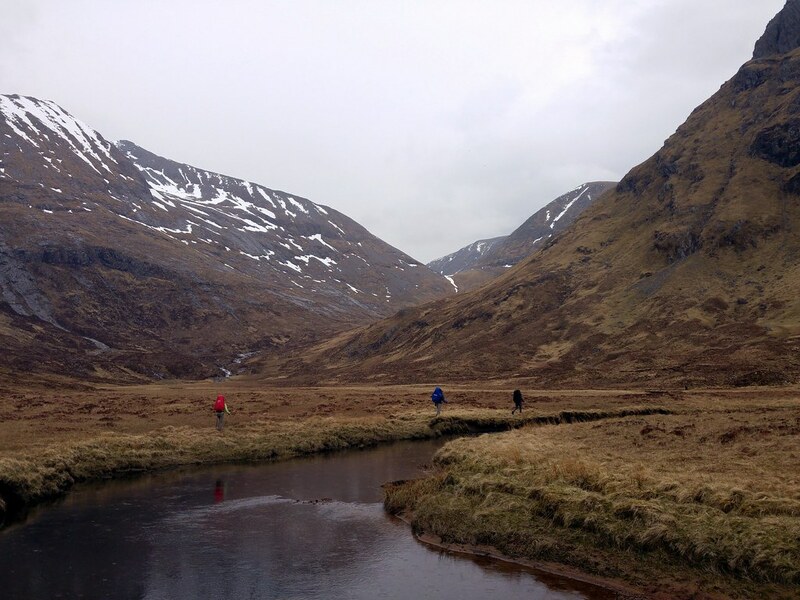 But in the end it was 4 against 1 and our friend who was keen on tackling the 2 Munros was outvoted. The walk was postponed for the next morning. So we stayed at the river and had a wonderful evening in the sun. 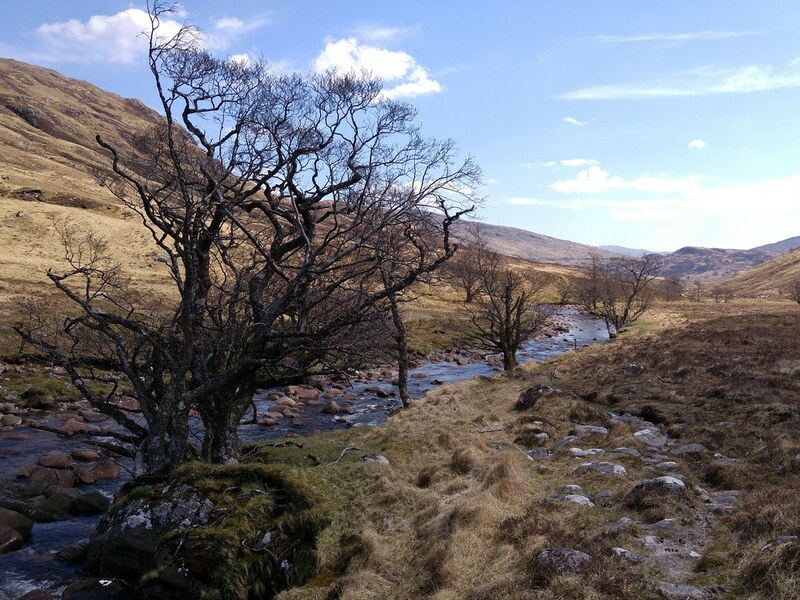 A warm wind was blowing down the glen and it was just perfect. One of us had fun building a set of stepping stones so that we could cross the river the next morning. 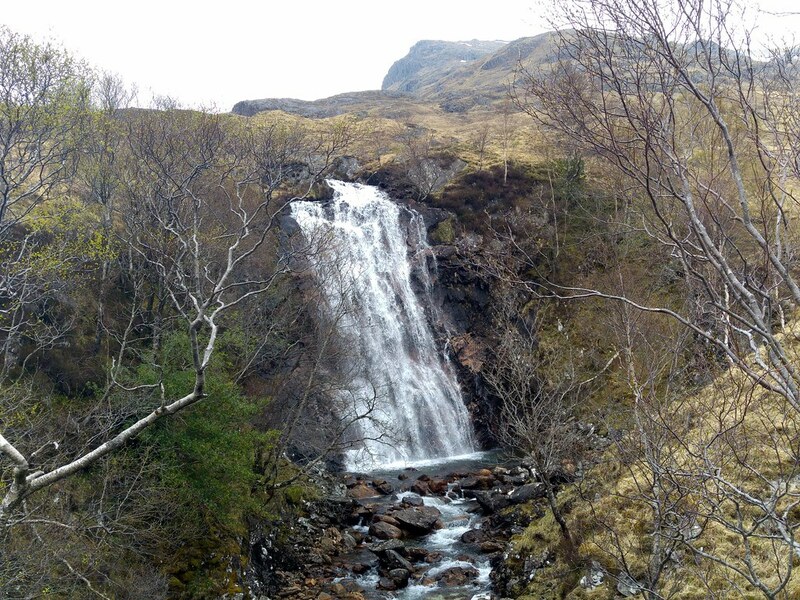 Others explored the waterfall roughly 300m to the north. 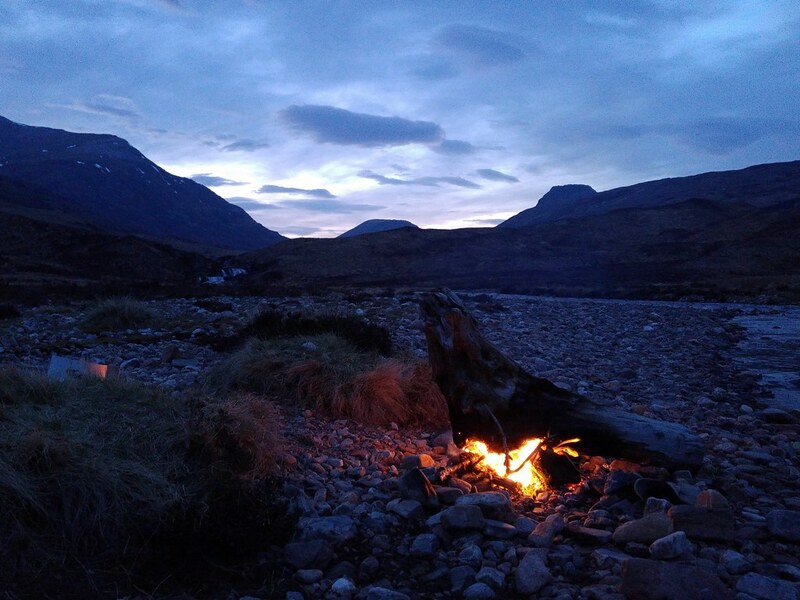 In the end we all huddled around a small camp fire and once the sun had disappeared behind Stob Ban it became quite quickly cold. The next morning was pleasant compared to the one before. 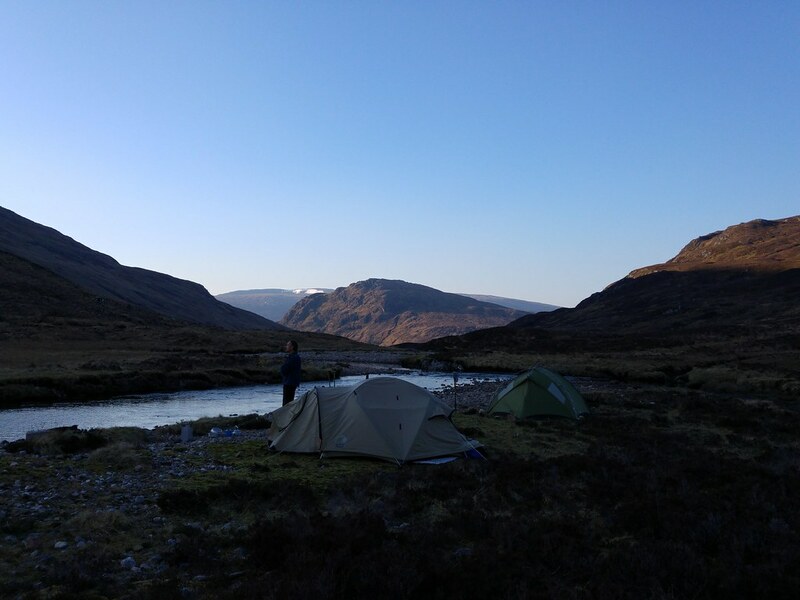 It was almost warm, the sun was shining (although the camp was still in the shadow of Stob Coire Easain) when we got up at 6.30. We then had a quick breakfast and then started the direct ascent by crossing the river at the new set of stepping stones. 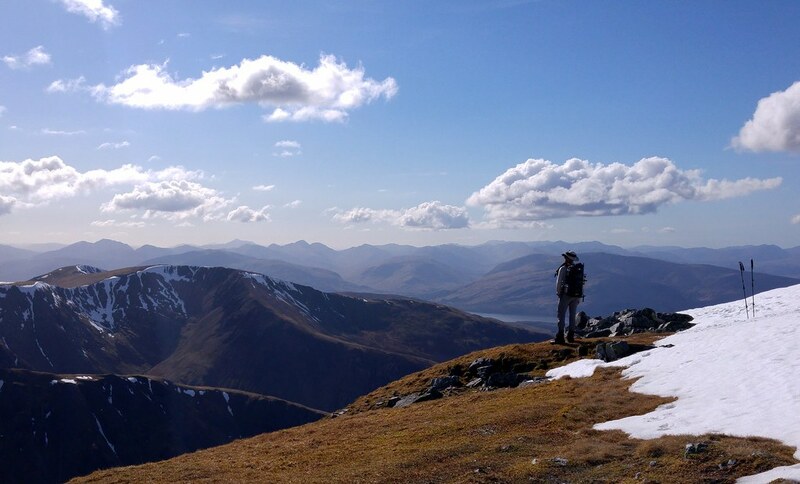 I had estimated the we would need around 4hrs to the two Munros and back. 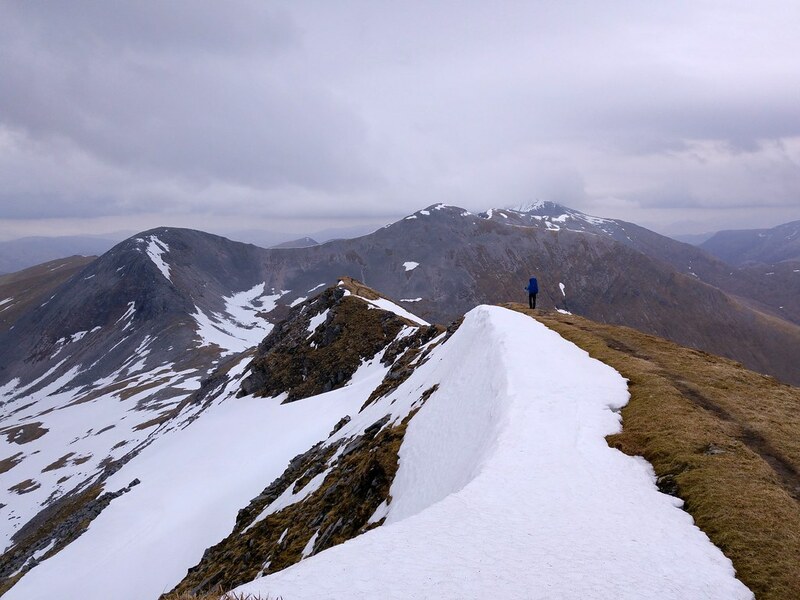 After an hour of exhausting ascent we reached the ridge Irlick Chaolie (if that's the name of the ridge) and shortly after we reached the top of Stob Coire Easain. That was rather quick and we did not hang around for long and headed NE for the 2nd Munro. The saddle between these two is 150m below the tops and so we arrived at Stob a Choire Mheadhoin in no time. By then the wind was really strong and after my sunglasses were blown away and received scratches we had enough and headed back to the first Munro and then further into the valley to the tents which we had left behind along with the rucksacks. Back at the saddle between the two tops I did not fancy another ascent of 150m and decided to cross the SE slope of Stob Coire Easain at a height of 1000 - 1030 m. I was not sure whether this would be an easy walk or difficult scrambling but in the end it was a good decision. I was a couple of minutes faster than my mates that went over the top of the Munro. I waited for them and together we went back down to the tents where we arrived after ca. 3hrs. Now we were in a hurry. 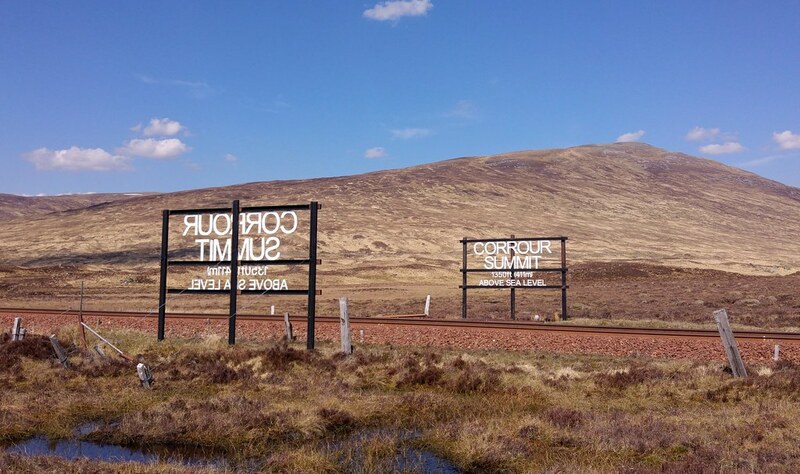 The train we had to catch was scheduled for 15:24 at Corrour station and this was 10-12 km away. So we still had around 4 hrs time left. But my mates took their time while packing the tents and so I got a bit nervous. The last thing I wished for was to be stranded in the middle of nowhere. 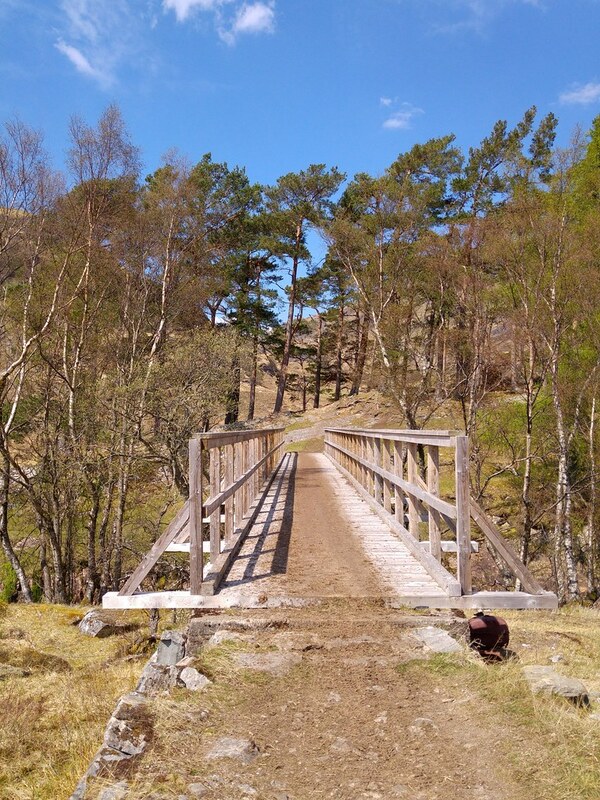 I also wanted to look for a geocache hidden somewhere near the lodge at Loch Treig so I started 10 min ahead of my mates. The path down the valley to the lodge was a real mess. Apparently there had been a race with motocross bikes or quads (ATVs) and in most place especially over grass the path was completely destroyed and there was 5 meter stretch of pure mud. This made also navigation difficult because although the direction was clear, without a path going became much slower. I’m sure it was fun for the drivers to drive through the valley but for me the result was just annoying. 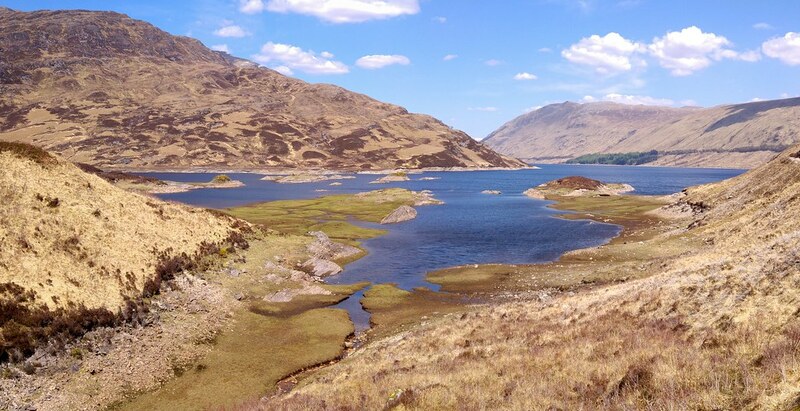 Anyway the views down to the river and especially to the Loch were amazing. The lodge is in such a nice spot that I would love to spent a few nights there. Beyond the bridge there is a geocache which I quickly found. 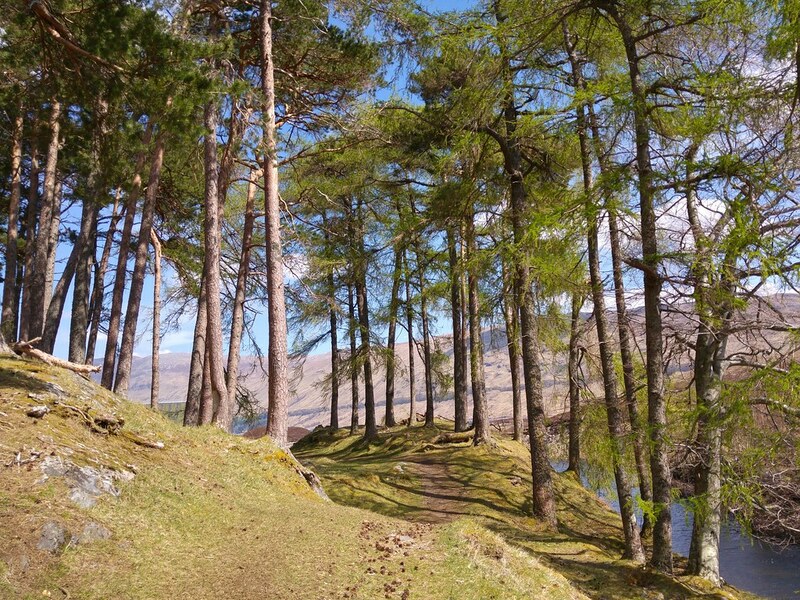 By then my mates had arrived as well and now we hurried along the shores of Loch Treig. 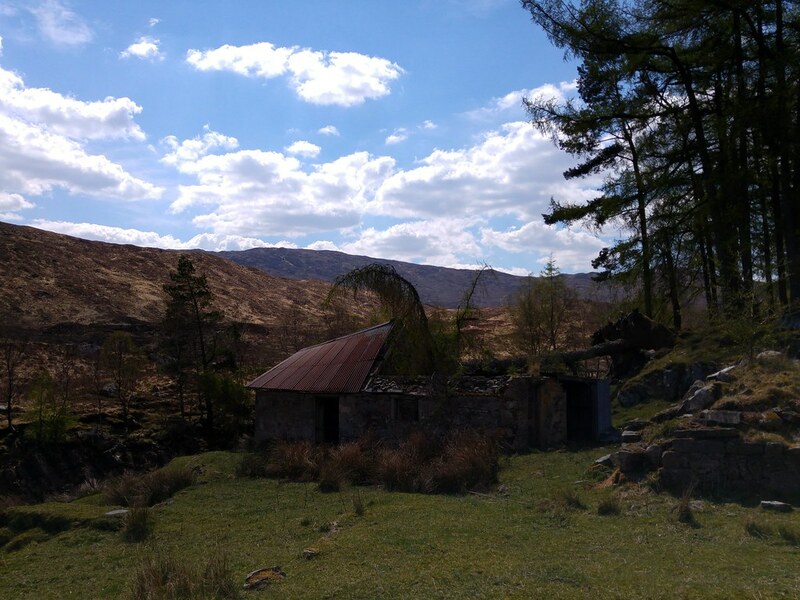 We had a short break where the path leaves Loch Treig to Corrour station and were wondering why there is a excavator in the middle of nowhere excavating around. 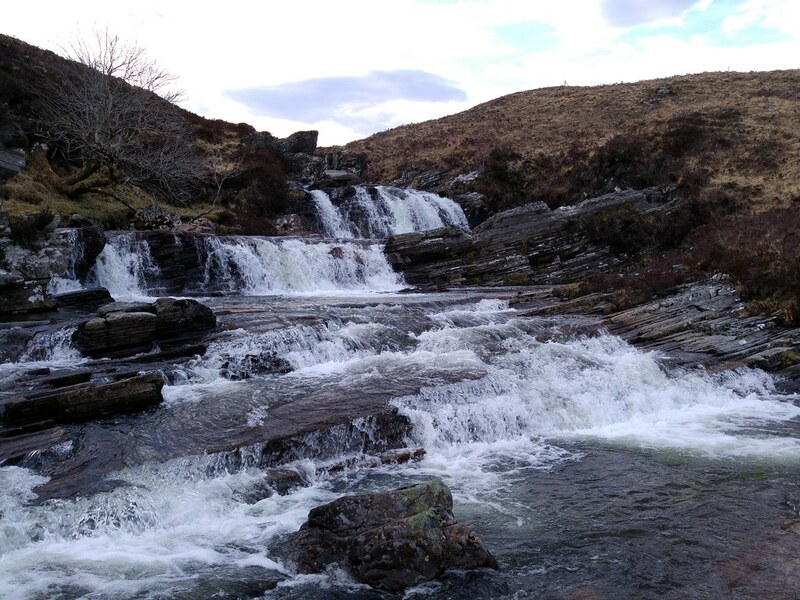 The answer was given on a sign nearby and the Corrour Estate is apparently building a water powered turbine along the burn. We had nearly 1.5 hrs left when we started the ascent from Loch Treig and made good progress along the road. At the bridge below the rail tracks we took the path to Corrour and arrived with 30 mins to spare at Corrour station. There in the Station House we had a very decent beer and sat in the upholstery. It was so cosy that leaving to catch the train became really difficult. By the time the train arrived the platform was quite busy. With boarding the train our walking trip ended but for the sake of completeness I’ll describe the return trip as well. 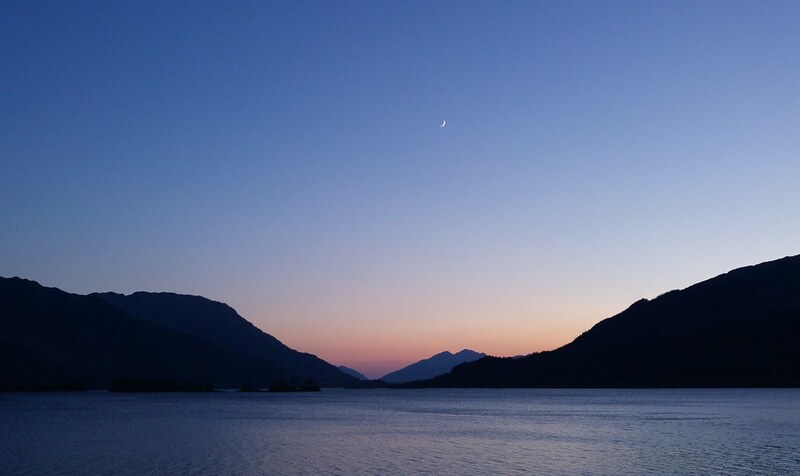 The ride along Loch Treig was quite scenic. 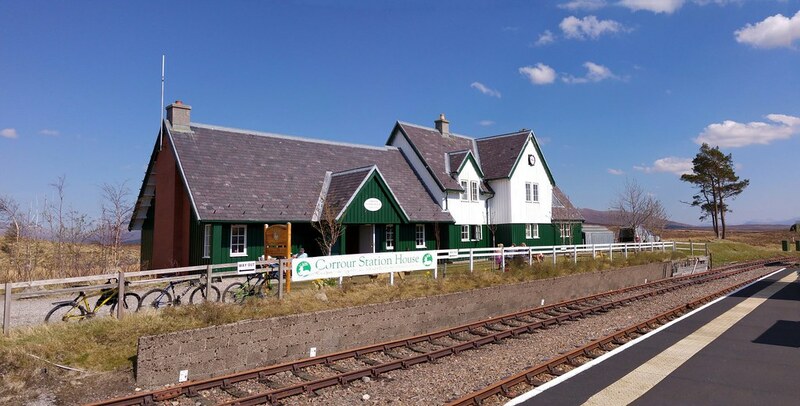 It’s easy to see why so many tourists take the train through the Highlands. 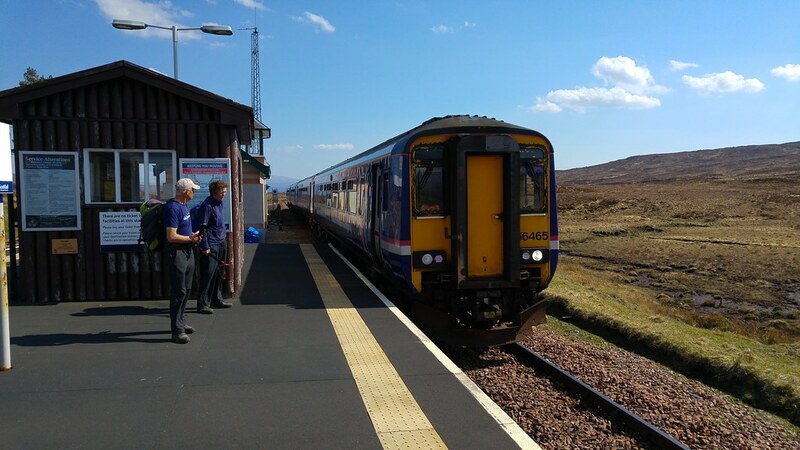 But it was also quite a contrast between us (muddy boots, sweat soaked shirts, not the finest odour) and the elderly tourists aboard the train. After some 40mins we arrived in Fort William and two of us jumped in the car for the drive into Glen Nevis to collect the other car. After that we went shopping in Morrisons and then drove to the Invercoe campground in Glencoe. There we had the long shower we had waited for. Looking fresh and smelling good we then looked for a place of cultural, historical and architectural interest (cheers to Alteknacker) aka a pub. 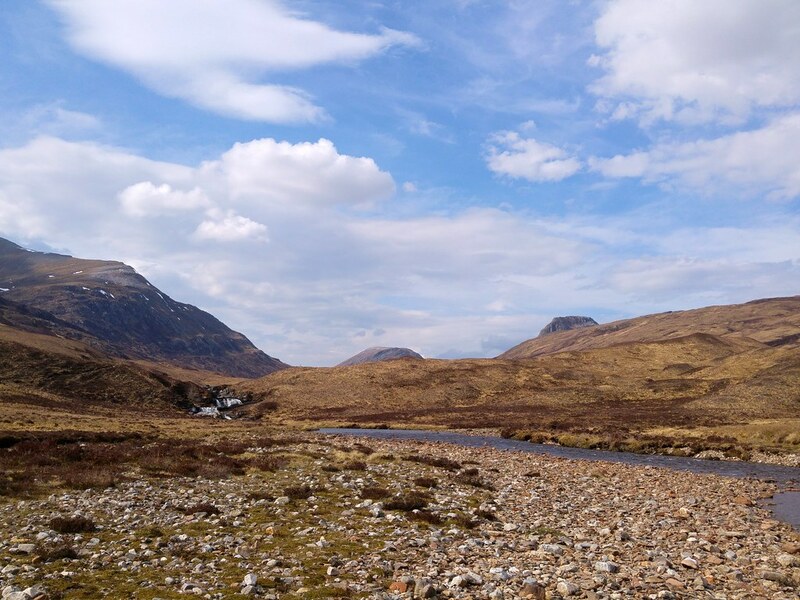 There is not much available at the village of Glencoe so we went to the Glencoe Gathering where we were told getting food would take up to 90 mins. 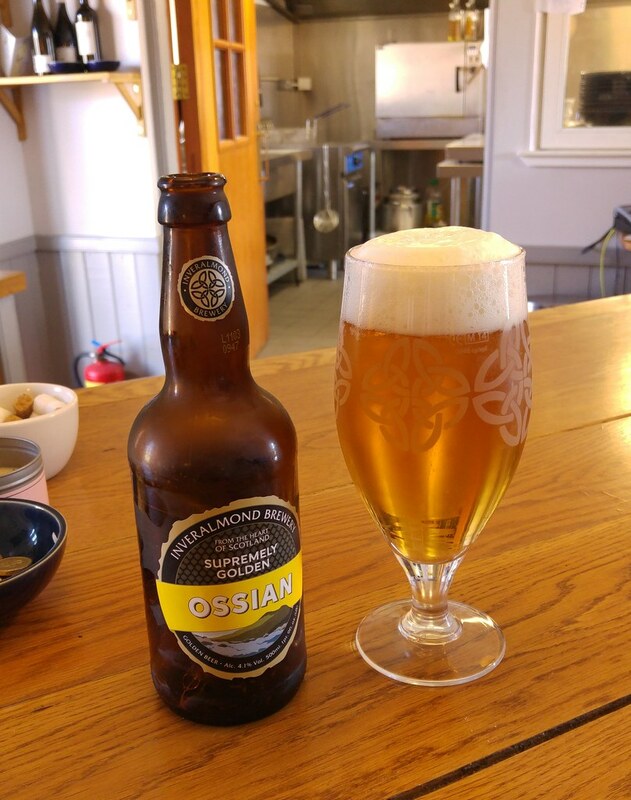 After a short discussion we decided to take the risk and had 2 decent ales while waiting for our burgers which arrived after only 45mins. Food wasn't bad and the beer was even better and so we went happily back to the tents to a wonderful but rather short night. Short because no one of us had confirmed the flight time with the booking and once I had done that I realised that the flight wasn't leaving at 1200 as we had thought but already at 1050. 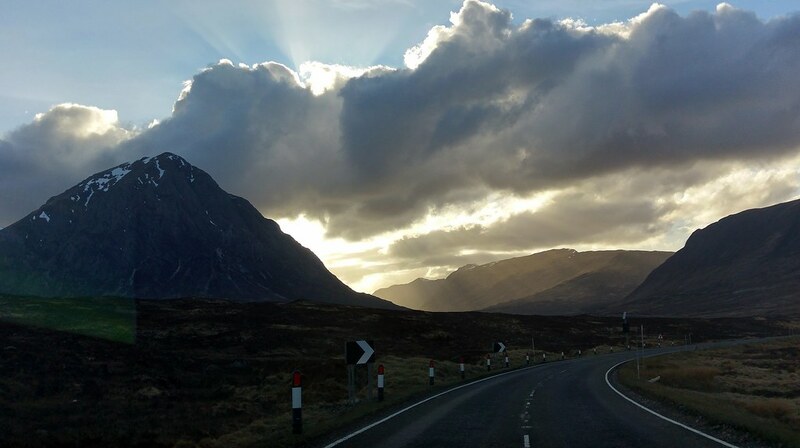 The next morning we started early and drove through the wonderful Glencoe and along Loch Lomond to arrive in time at Airport. And once the plane had started our wonderful 5 days in Scotland had finally come to an end. I miss Scotland already. See you next year. Last edited by Mancunian on Thu May 19, 2016 2:25 pm, edited 1 time in total. I smiled at the tl;dr - nobody wants the short form here! Great report, sounds like you all had a brilliant time. 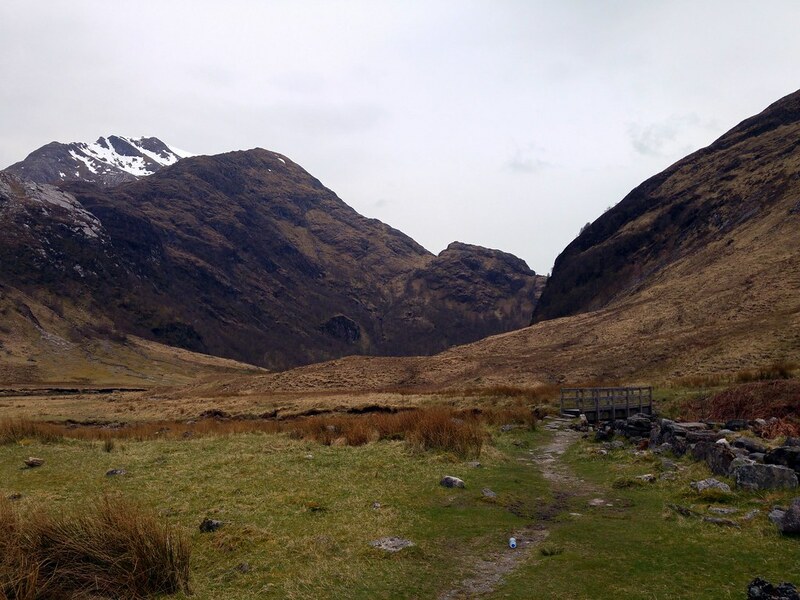 Brave of you to descend directly towards Steall at the end of the RIng though, plenty of accidents have happened there. What a great trip and I'm loving the photospheres! FFS, I'll second that!!!! That's what I call going on tour! So many highlights in a report of War and Peace proportions, I scarcely know where to begin picking some out. 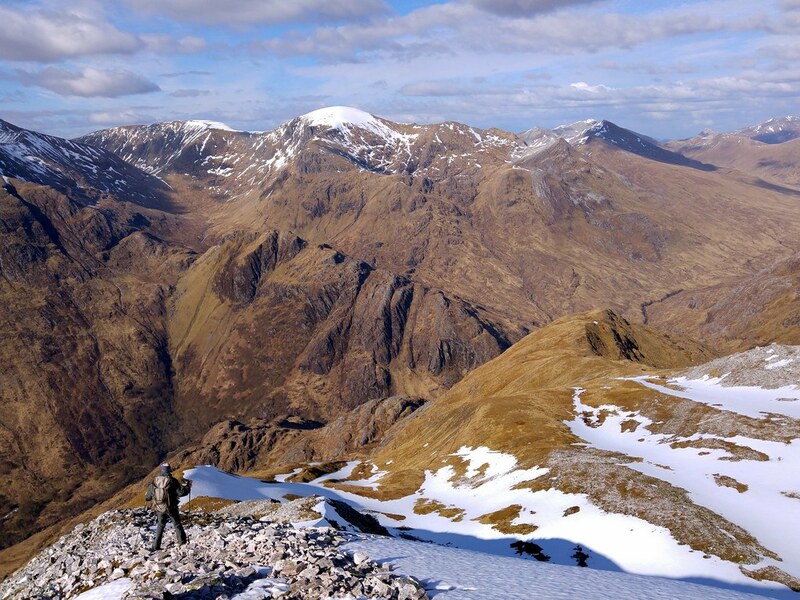 I am just going to mention that photo of Stob Ban and Glen Nevis though. WOW!!!! Love it! P.S. Aldi in Perth are now stocking Arschvielbier. Tried some earlier this evening. Bit of a foosty smell and taste to it. Found it a bit pants really if I'm being honest. 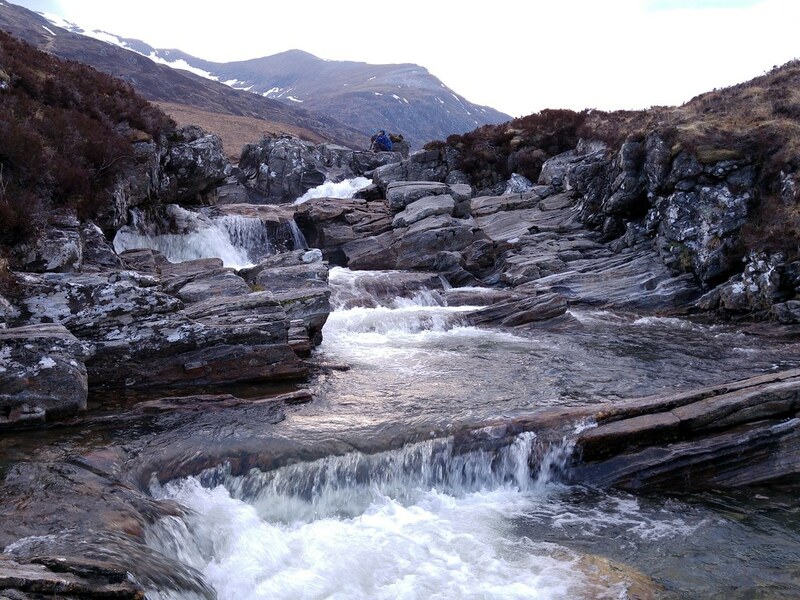 arjh wrote: Brave of you to descend directly towards Steall at the end of the RIng though, plenty of accidents have happened there. The descend did not appear to be very dangerous but I can see how a few parts can be dangerous when wet or icy. In some places the slope is quite steep. The normal path via the car park and the road is of course a safer option and I'd recommend that of course. Silverhill wrote: What a great trip and I'm loving the photospheres! Graeme D wrote: So many highlights in a report of War and Peace proportions, I scarcely know where to begin picking some out. 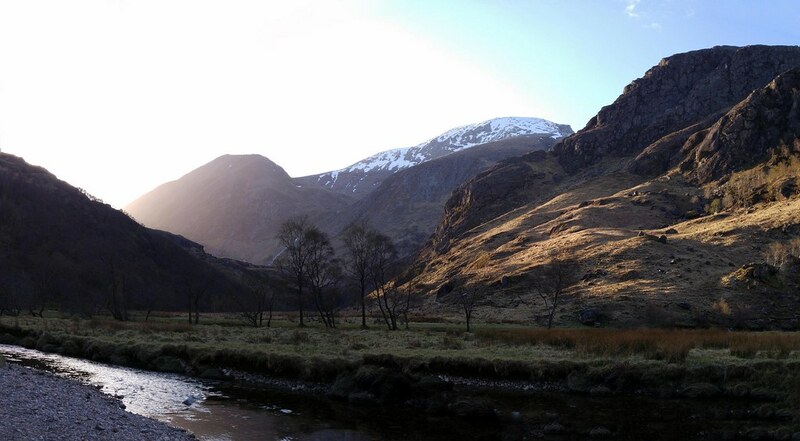 I am just going to mention that photo of Stob Ban and Glen Nevis though. WOW!!!! Love it! Many, many thanks Graeme. Glad you liked the photos. Last edited by Mancunian on Fri May 20, 2016 2:06 pm, edited 1 time in total. Epic trip, sitting here jealous! 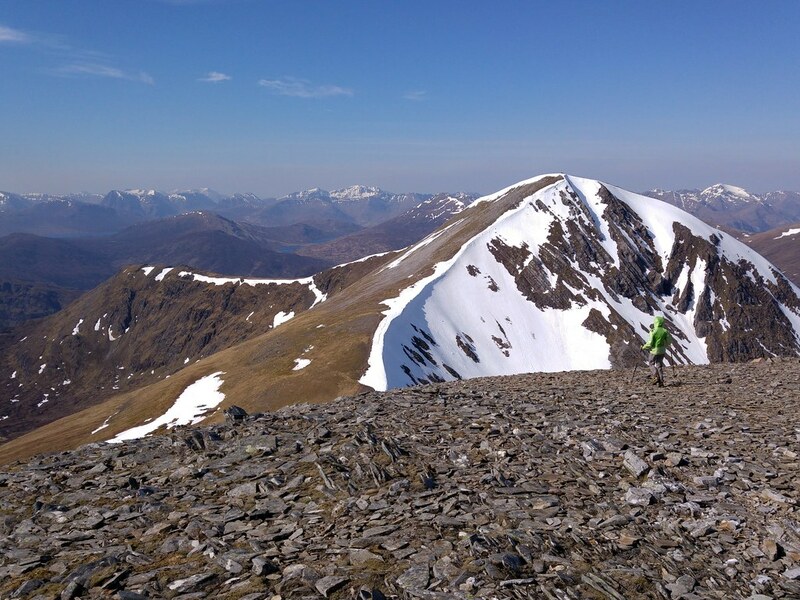 Epic expedition, epic report, fantastic pics, wonderful weather – how could it be better?!? A really terrific read. 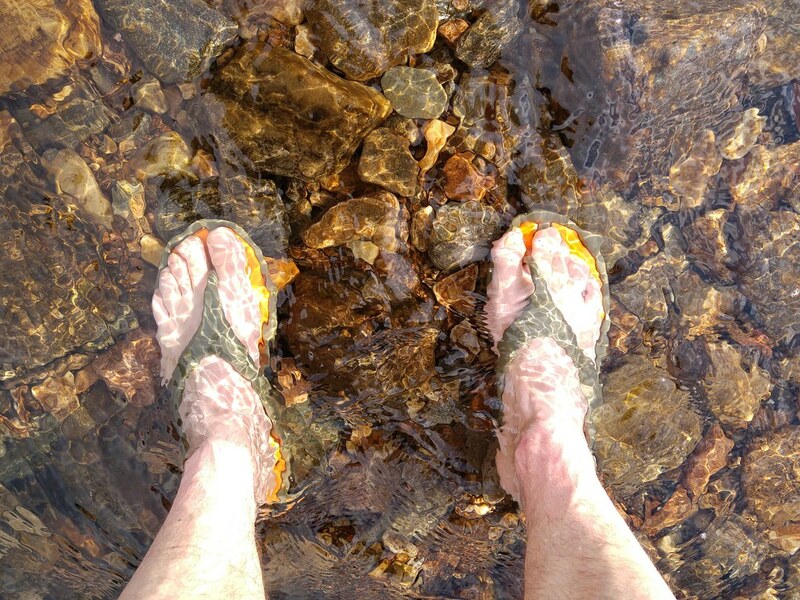 I don’t know which bit I enjoyed most, but I can say that I could really feel the cool water when you were bathing/cooling your feet. 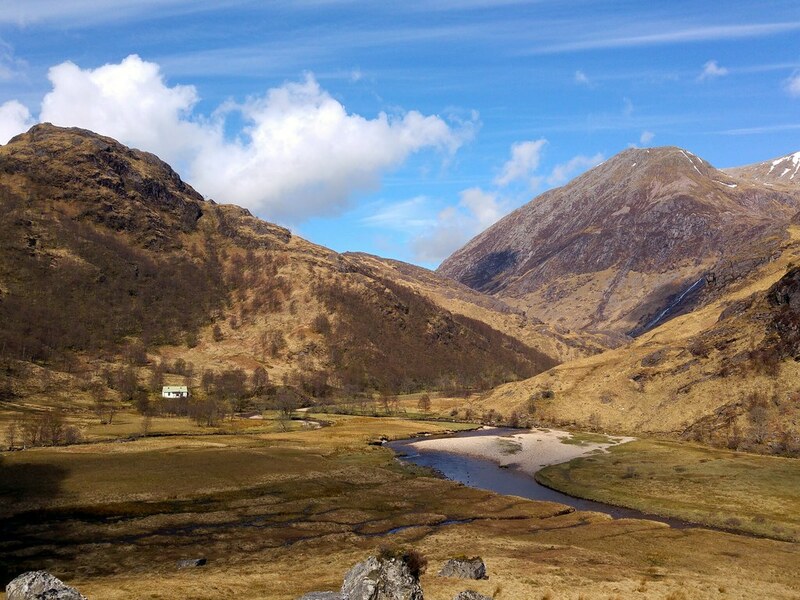 Once away from the masses, Glen Coe is a magical place. stuart mclovin wrote: :clap: Epic trip, sitting here jealous!